To say that our family doesn’t leave much room for downtime on our travels would be a bit of an understatement. Between work, family obligations, and school, we always feel that we need to cram in as much as we can into the few short weeks a year that we have free to go somewhere new. 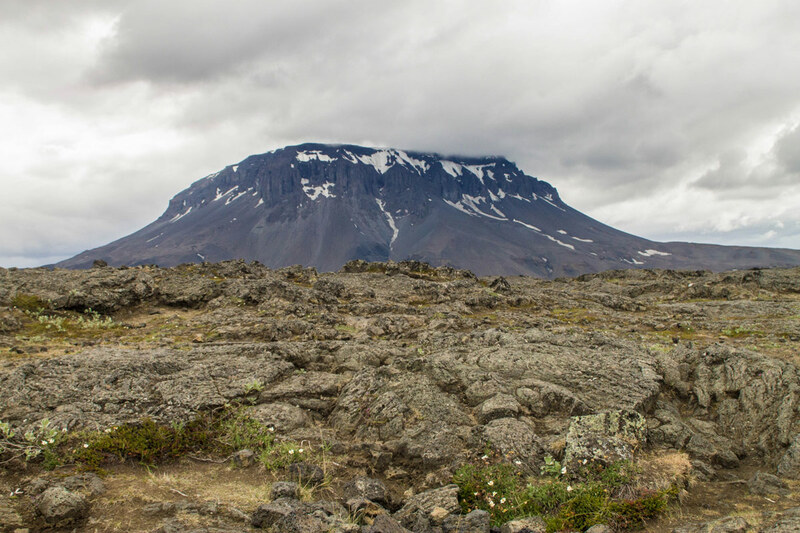 We had a rare opportunity to embark on a 14 Day Iceland Itinerary. With two full weeks to explore this incredible country, we were determined to see as much of what Iceland had to offer as we could! 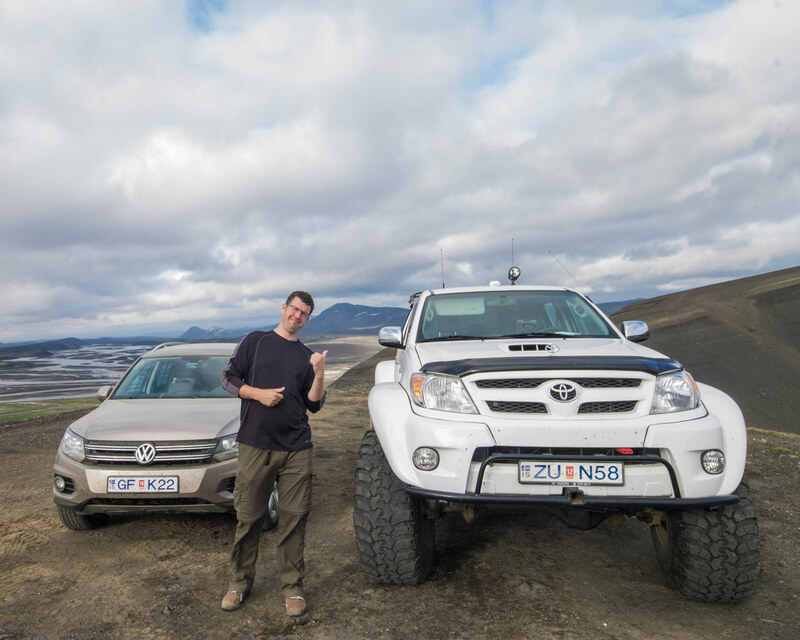 So hang on tight as we show you some of the coolest things from driving on an Epic 14 Day Iceland Itinerary! 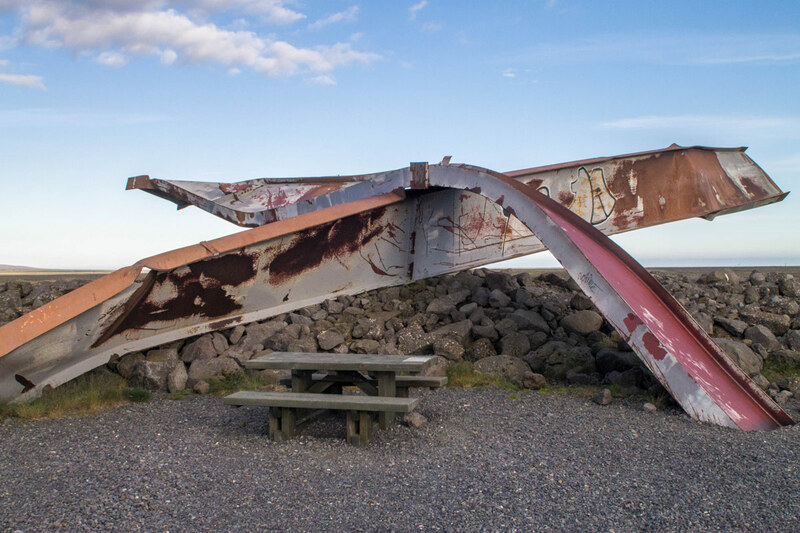 Touring around beautiful Reykjavik is a great way to orient yourself to the people and culture of Iceland. It has incredible restaurants, funky bars and a quaint downtown and marina with amazing artwork. 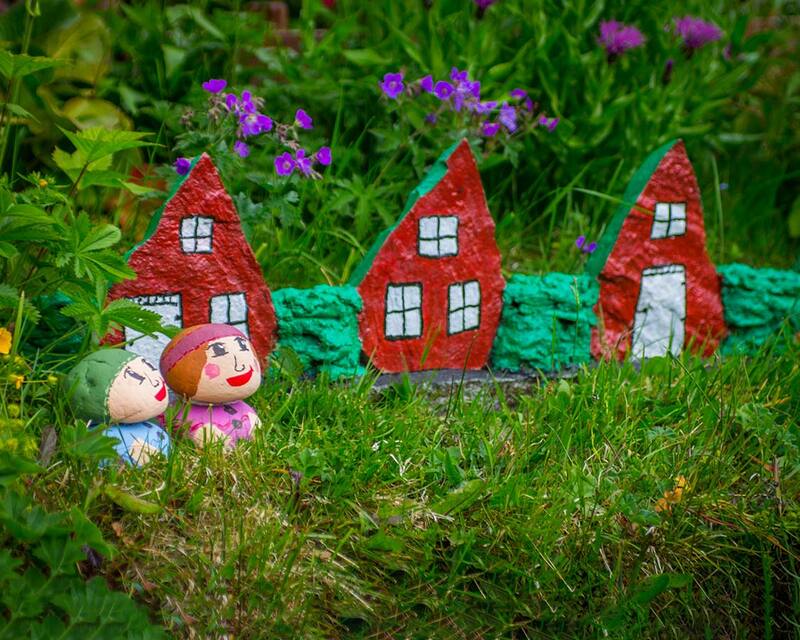 At 120,000 people, Reykjavik is fairly small for a capital city. 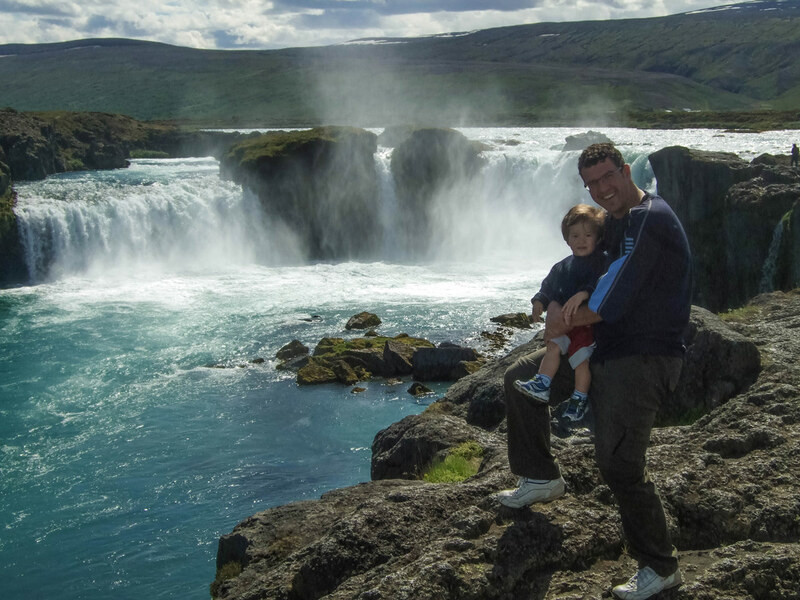 Our Reykjavik tour also gave us plenty of time to get out and experience Iceland’s iconic Golden Circle. 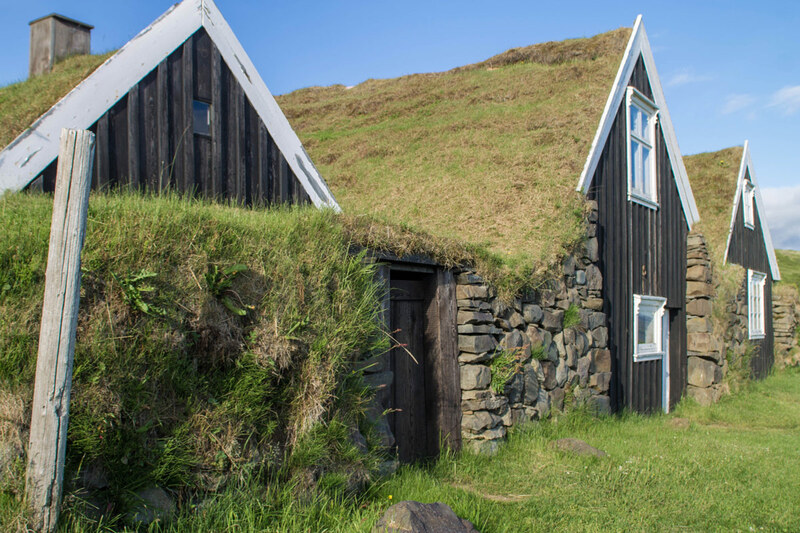 Pro-Tip: Iceland can be pricey. 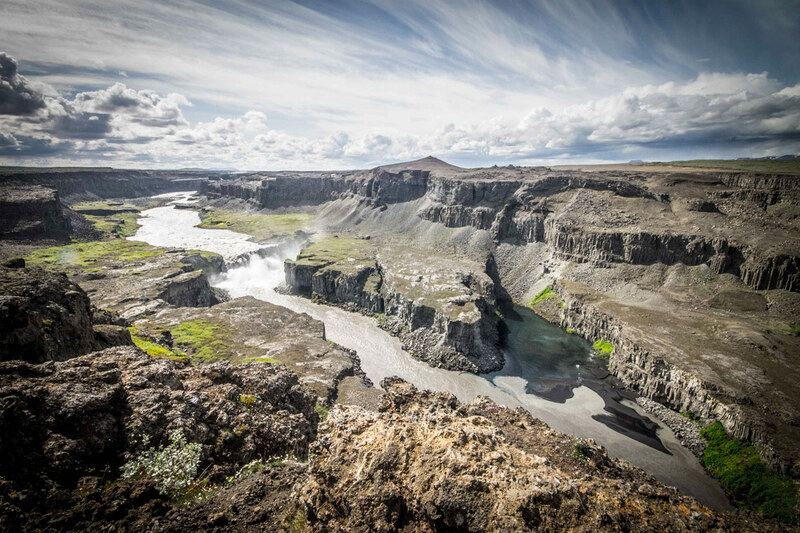 Before you go check out this Iceland budget post by Flight of the Educator to prepare yourself. We drove 172 km from Reykjavik to explore the Snaefellsness region (Snæfellsnes). We drove along Hvalfjordur fjord towards Borganes where we visited the Icelandic Settlement Centre. 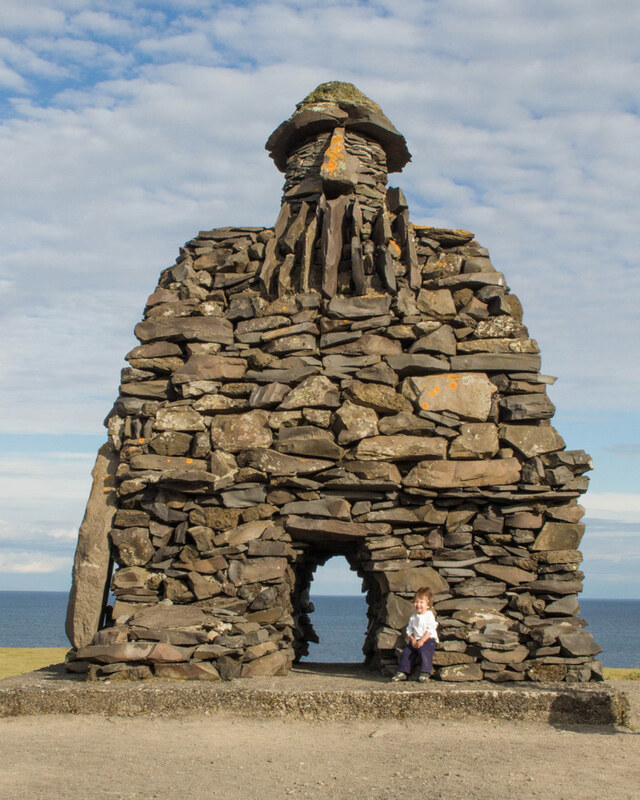 Next, we visited beautiful Arnarpstapi to see the incredible Bardur Snaefellsness sculpture and hike along the bird cliffs towards Hellnar and back. 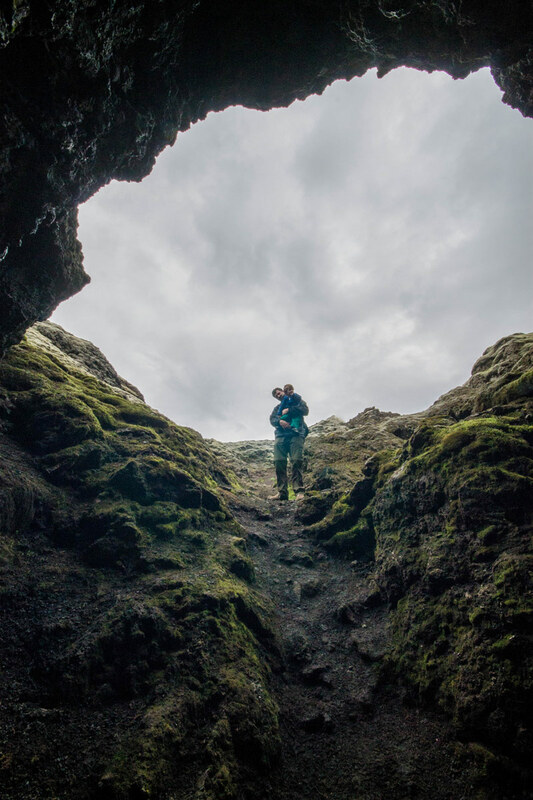 We couldn’t visit Iceland without searching for faeries and elves, so we left the Ring road and went onto F570 to Songhellir Cave (Sönghellir), the Singing Cave. 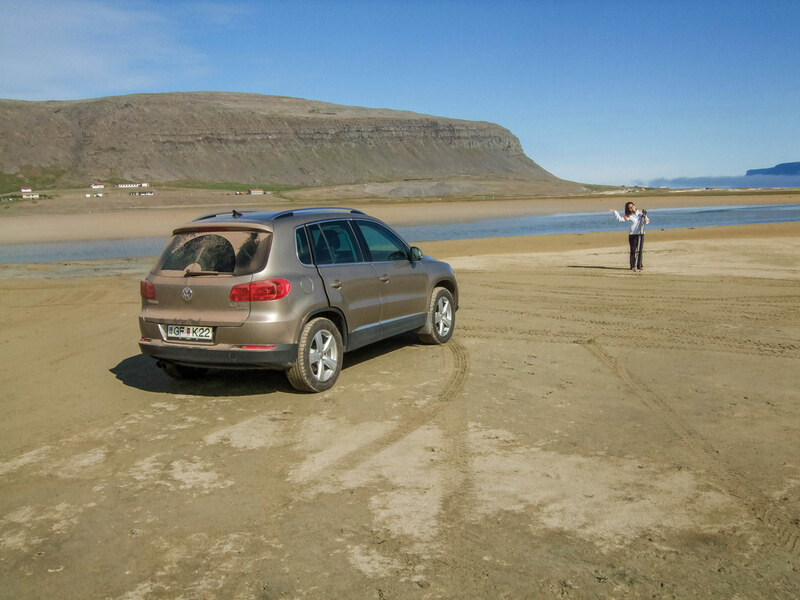 Then, while attempting to take the short route back to Iceland’s Ring Road, we found a bit of an obstacle. So, we swung back and stopped to enjoy some views along the way before heading on to Hellisandur to call it a day. 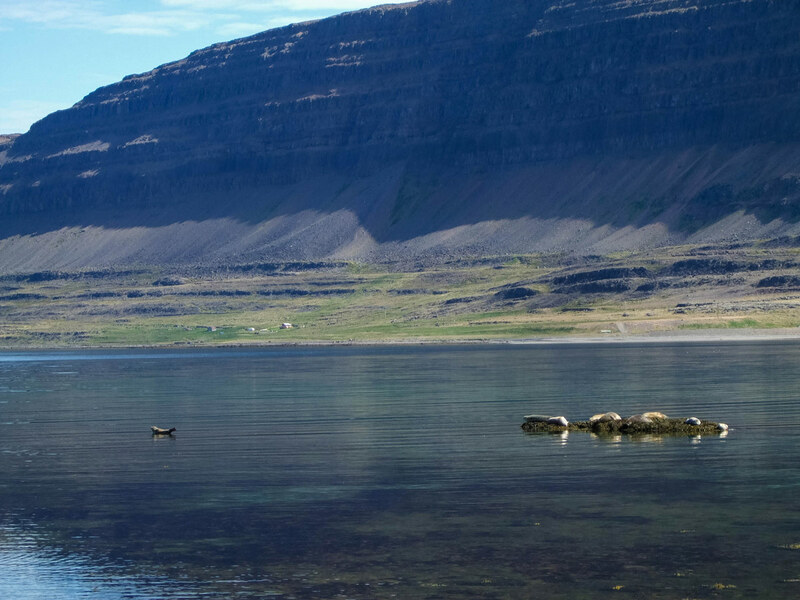 Our next day brought us to the spectacular Westfjords. We woke and headed to Stykkisholmur (Stykkishólmur) to catch a ferry to Brjanslaekur (Brjánslækur) where we saw some puffins and other seabirds. This is where we had our first hiccup of the trip. My DSLR suffered a major issue and, with no major cities nearby, we were left with only our backup point and shoot for the next few days. After docking, we headed into the coastal mountains. Along the way, we say statues and cairns from the long Viking history of the country. 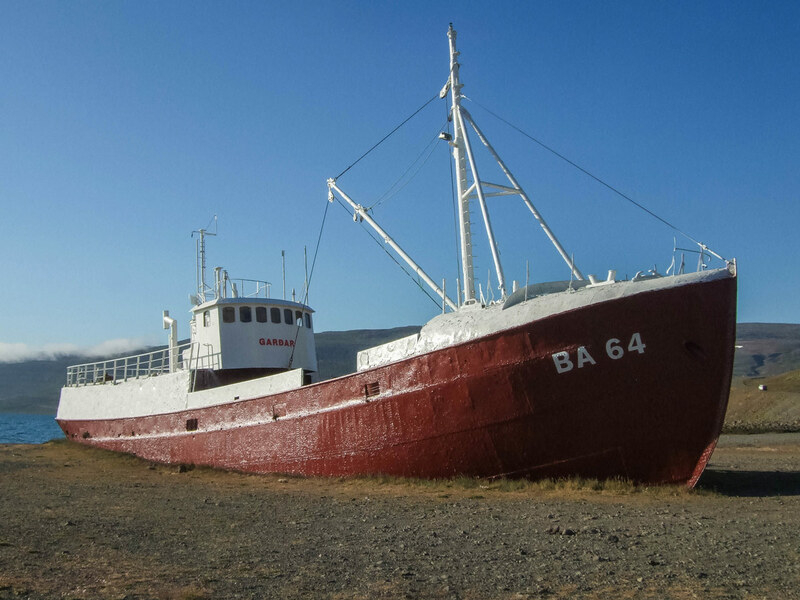 We also came across the remains of Gardar, the oldest steel ship in Iceland which was rammed ashore in 1981 after nearly 70 years of duty. We drove along the coast towards Latrabjarg (Látrabjarg) and it’s incredible bird cliffs. It was well past midnight when we arrived, but thanks to Iceland’s midnight sun, there was no lack of light. After a visit with the Puffins, we had a midnight snack and called it a night. We had an incredible night sleep and woke hungry for adventure. We came down from the mountains and drove through Patreksfjordur (Patreksfjörður). We stopped at a nearby beach for some fun in the sand, mostly just to say that we went to Iceland and played on the beach. 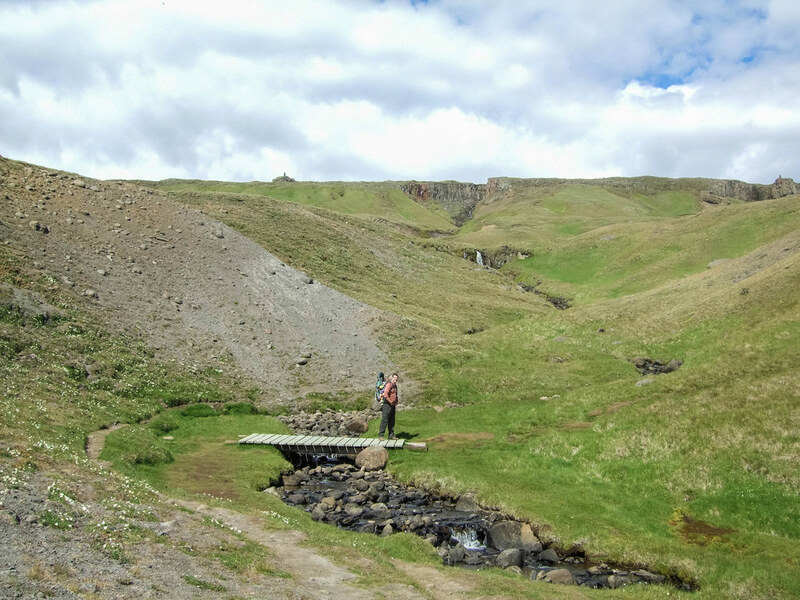 Then,we moved on to Dynjandisheidi Pass (Dynjandisheiði) to see the incredible Dynjandi waterfall. 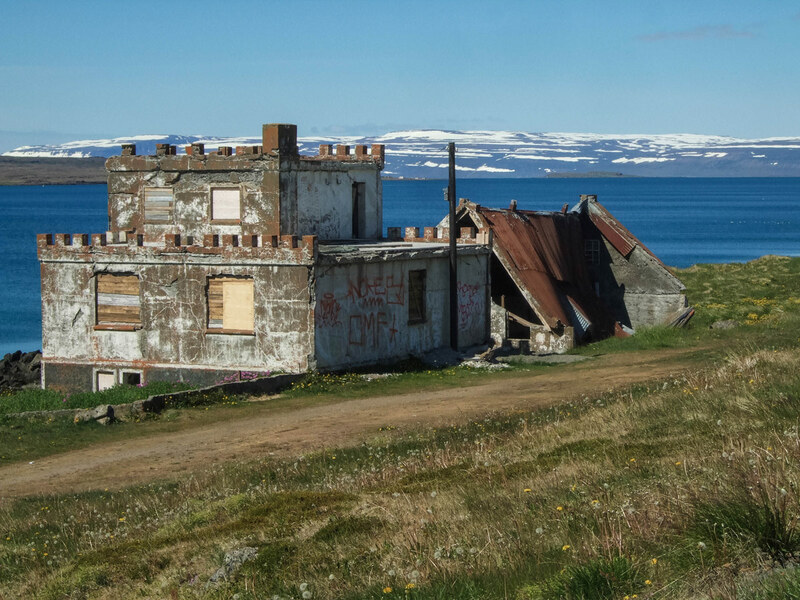 At this point, we did a detour from our previous plans and passed through a long tunnel to Bolungavik (Bolungavík), where we discovered the Osvor Maritime Museum (Ósvör) and the quaint Viking settlement they recreated on the coast. The following morning we jumped out of bed, anxious to see what adventures we would have on this day. 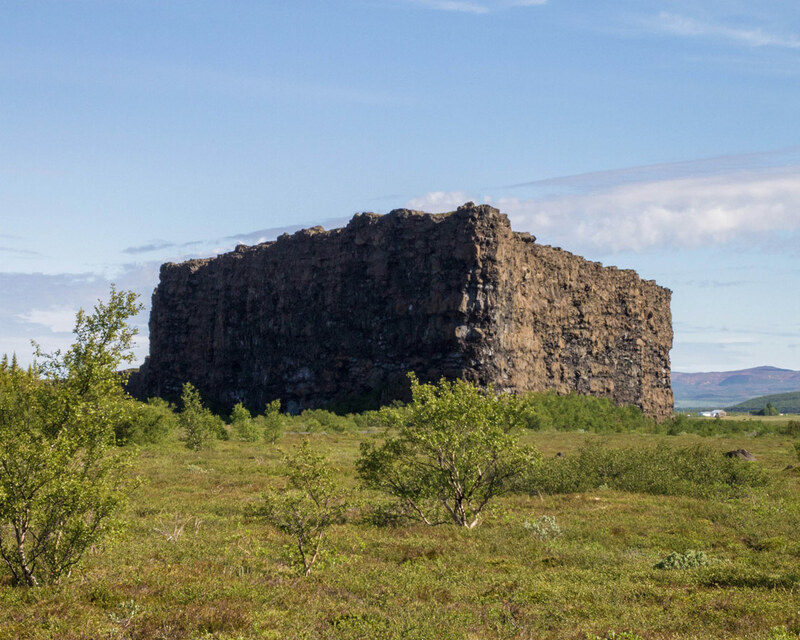 As we took to the road, we quickly came across this dilapidated castle near Isafjordardjup (Ísafjarðardjúp) that started debates as to what its history could be. Our next stop brought us to Vatnsnes peninsula to see Hvítserkur, the Troll of Northwest Iceland. 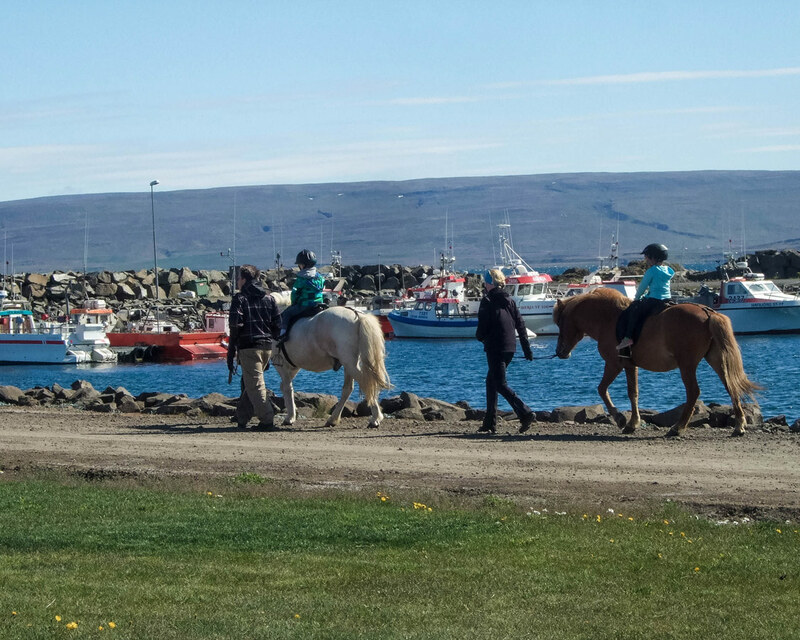 Next, we were off to nearby Holmavik (Hólmavík), where a local festival was in full force. 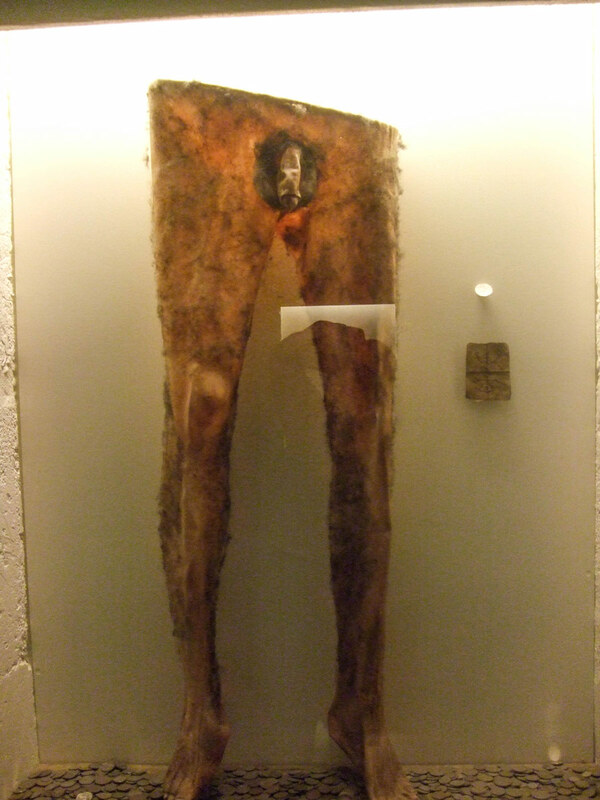 Holmavik is also home to the Witchcraft and Sorcery museum, which explores the mystical history of the Icelandic people and features some very … unique displays. Yup, that’s exactly what you think it is, click on the photo to find out the details … if you dare. We stopped in Hofsos (Hofsós) to see the seals basking in the summer sun. 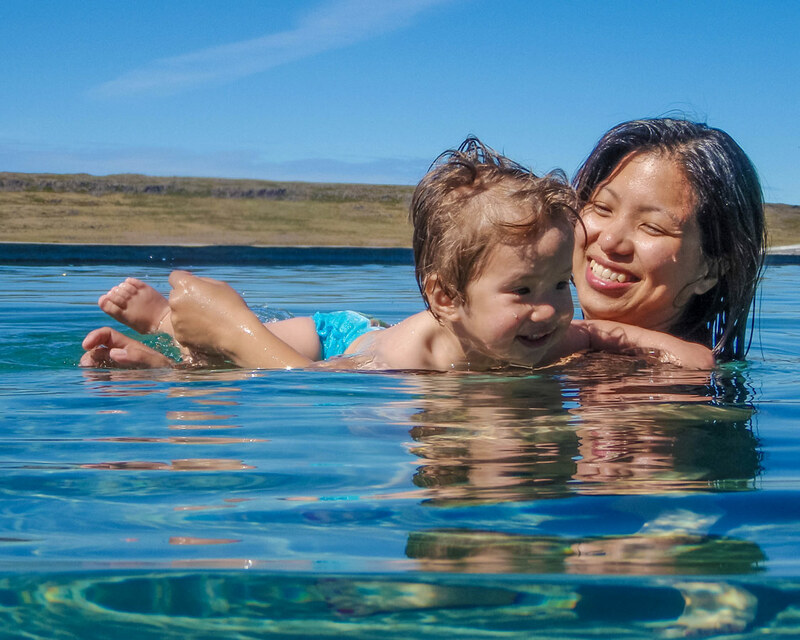 By this point, we needed a break, and C was anxious for some time outside the car, so we stopped in Varmahlid (Varmahlíð) and took in one of the countless Icelandic natural pools. It was great getting a chance to bathe in the naturally heated water. Our day ended in Saudarkrokur (Sauðárkrókur). 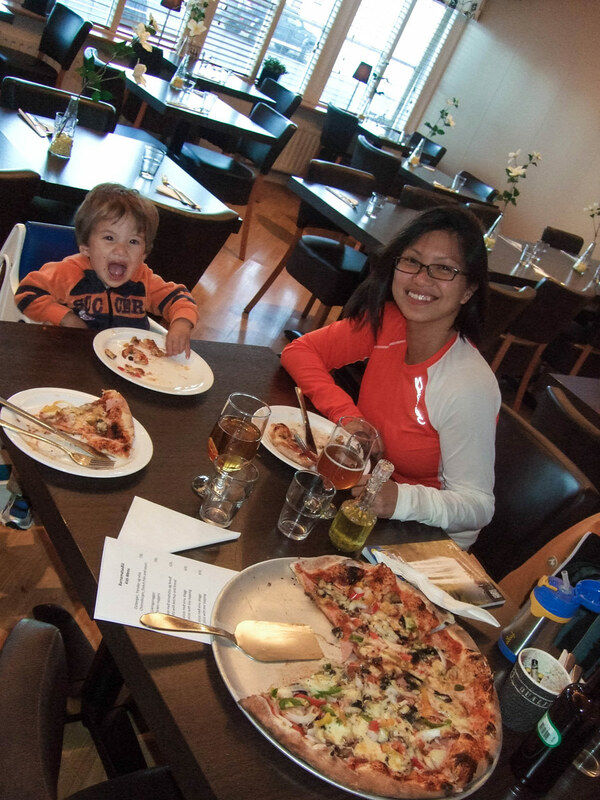 While devouring the most delicious pizza we’ve ever had, we chatted with the staff at the Olafshus restaurant as we watched the Icelandic presidential election. 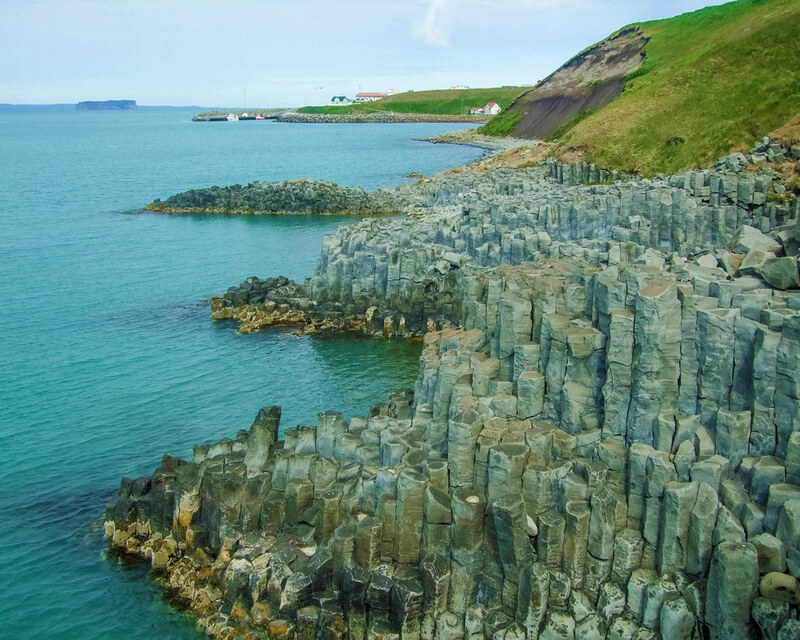 The next morning we stopped in Hofsós to witness the incredible basalt cliffs. We finally reached Akureyri, the second largest city in Iceland, and also the northernmost major city, lying just 60 kms from the Arctic Circle. We hoped to either repair, or purchase a new camera for the rest of our trip, but soon realised that there were no retail stores open on Sundays in this city. Well, at least we could get ice cream! Nearby Godafoss was incredible to behold. The earth shook from the power of the falls. 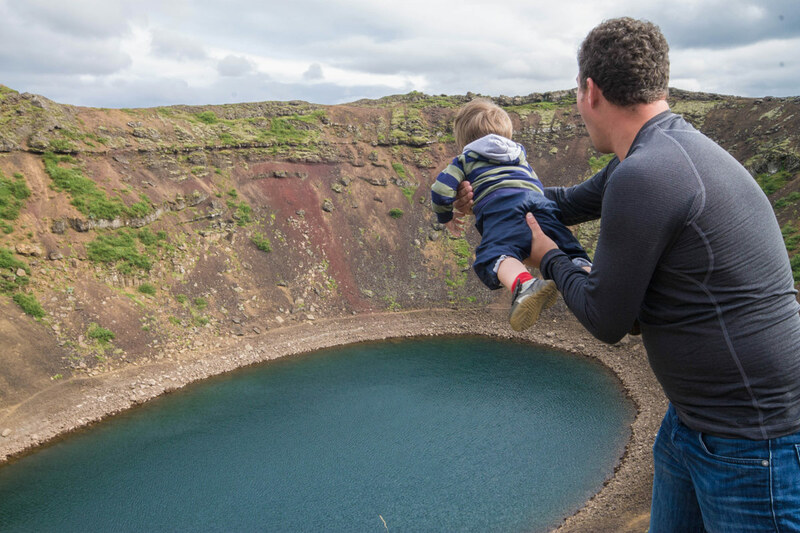 A short drive away, we came across the paradise of Lake Myvatn. 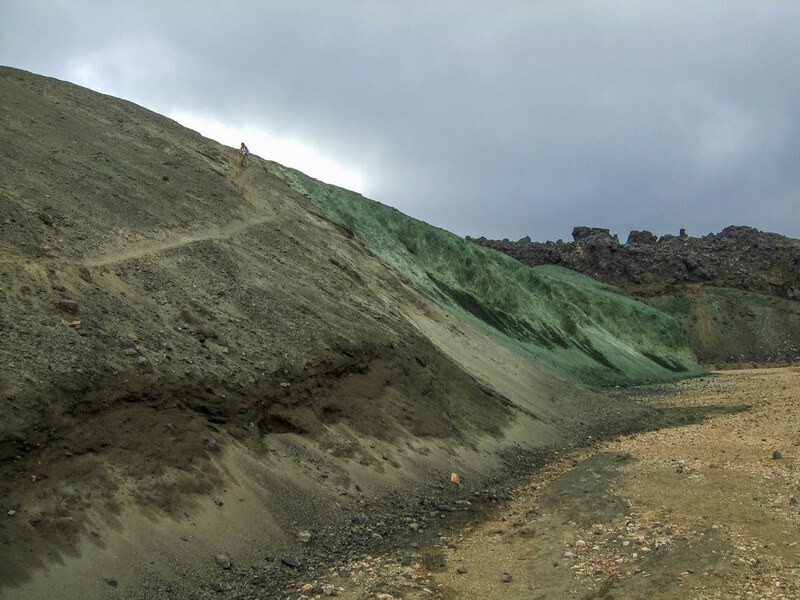 Much of Iceland is drenched in harsh tones, Lake Myvatn is bathed in greens and blues. There is something about the mix of lakes, volcanic craters and fields that just feels so special. Namaskard Pass stood in stark contrast. Boiling mud pits, steam vents and harsh, sulphur filled the air. 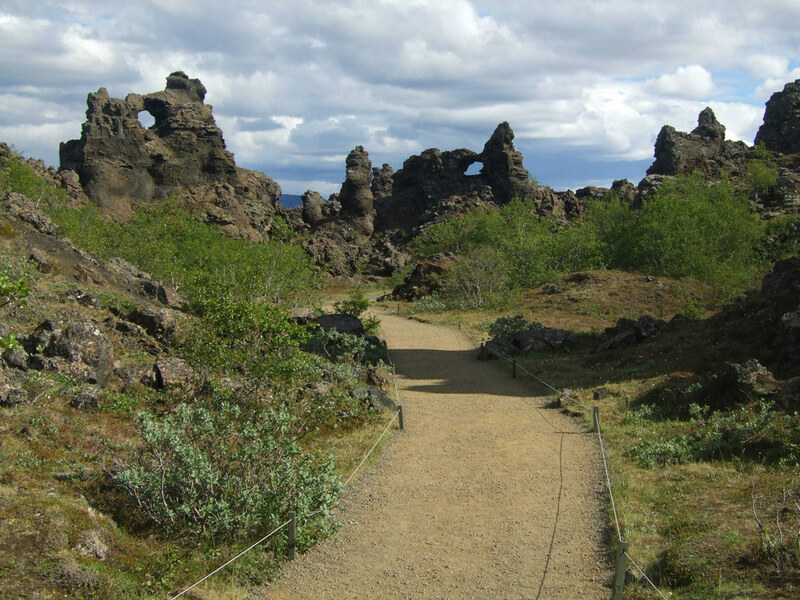 Nearby is the incredible Dimmuborgir, also known as Dark Castles, where volcanic stacks stood harshly against green shrubs. 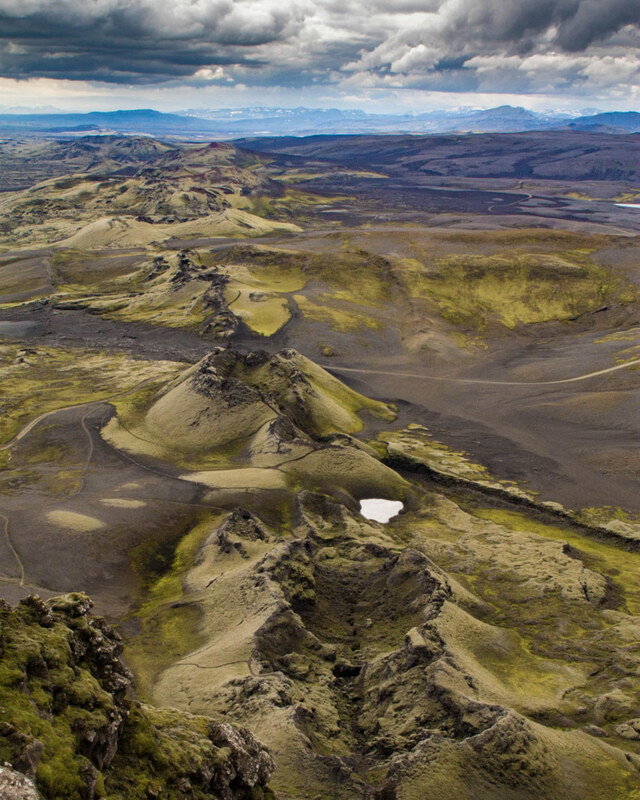 A short drive from there lies the remains of Volcano Krafla. 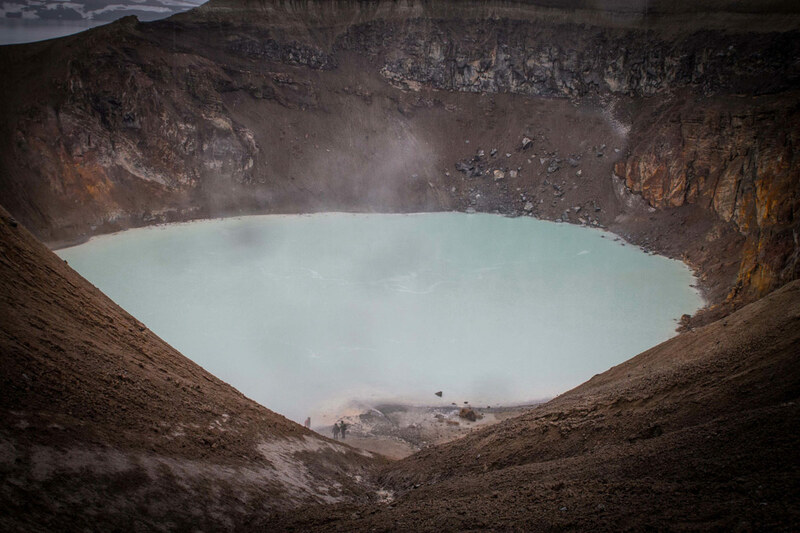 It sits close to a geothermal plant and now houses a picturesque crater lake. After all the sulphur, climbing and hiking of the day, we felt we deserved a break and finished off our day at the Myvatn Nature Baths to soak up some healing minerals from the hot springs. I woke up early the next morning at our guest house near Laugar and raced back to Akureyri so I could get another camera as soon as it opened. 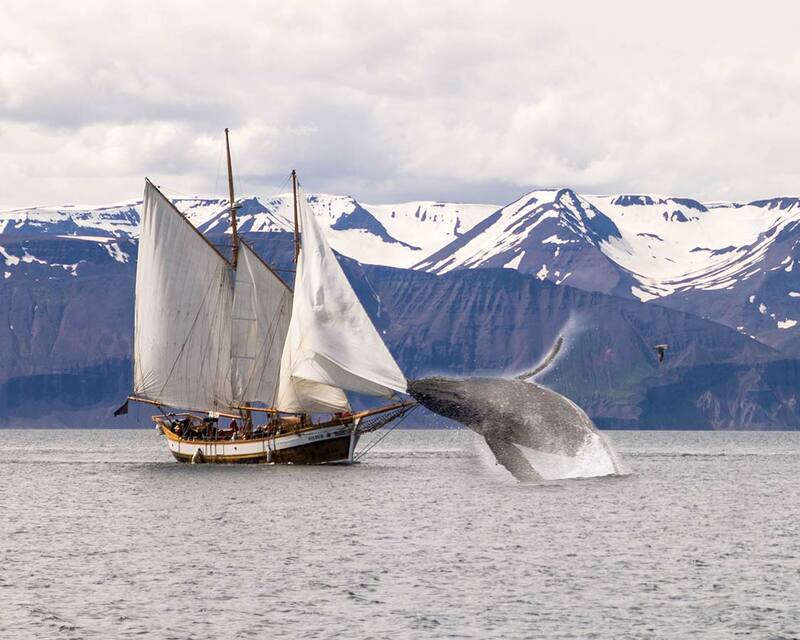 Once I got myself equipped, I made my way back to pick up Christina and C so we could make our way to Husavik for the days adventure, a whale watching expedition on a Schooner! 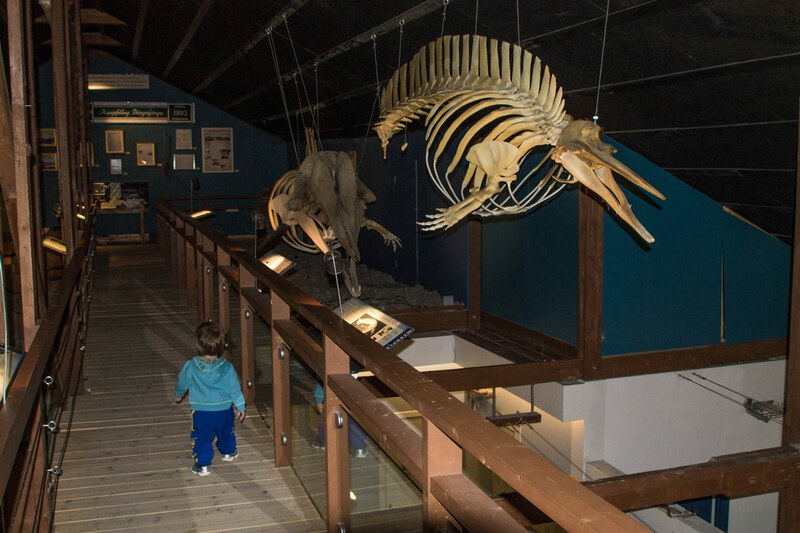 We arrived in Husavik with some time to spare, so we visited the Husavik whale museum. 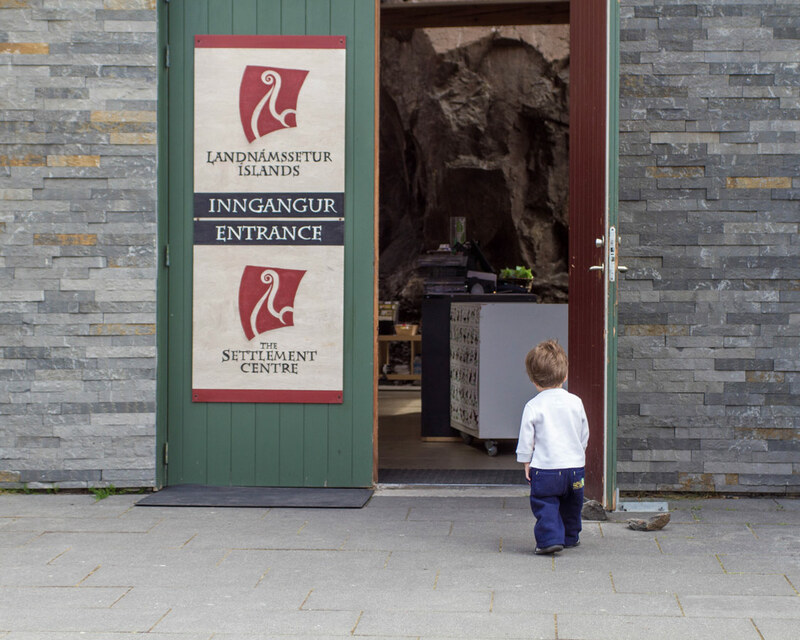 As with many places in Iceland, they know how to make things kid-friendly. They had this cool area for C to explore. Shortly afterwards, we met up with the folks at North Sailing and boarded our Schooner. It didn’t take C long to start taking control. We passed by the amazing gannet cliffs, where we could see locals farming the eggs from the steep cliff walls. After the cliffs, we went to the bay for some whale watching. 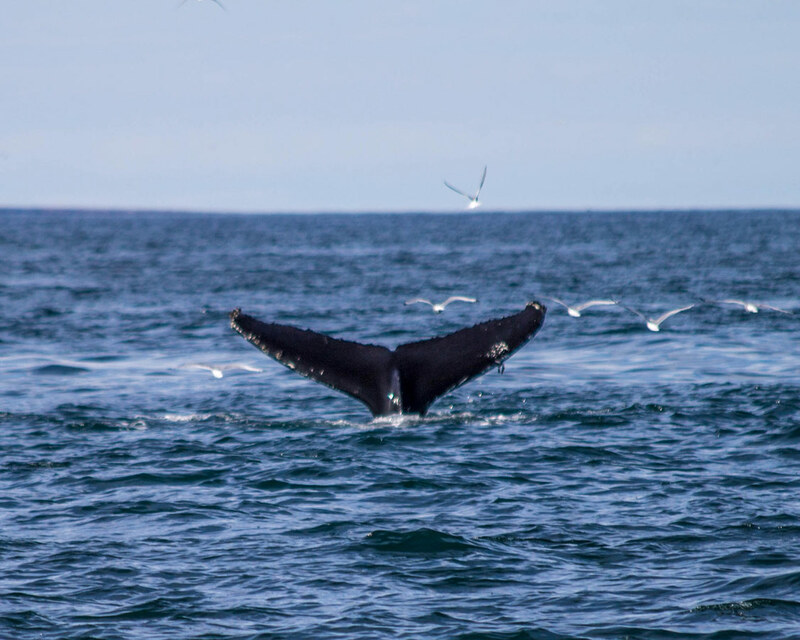 We got to see Humpbacks, Pilots, and even a glimpse of a Blue whale! After saying goodbye to the incredible sailing crew, we made our way towards Vesturdalur and Jljodaklettar and it’s impressive rock formations. It seemed at points that the Earth had completely folded up on itself. First thing the next morning, we woke and headed to nearby Asbyrgi. We hiked towards Dettifoss, the largest waterfall in Iceland. 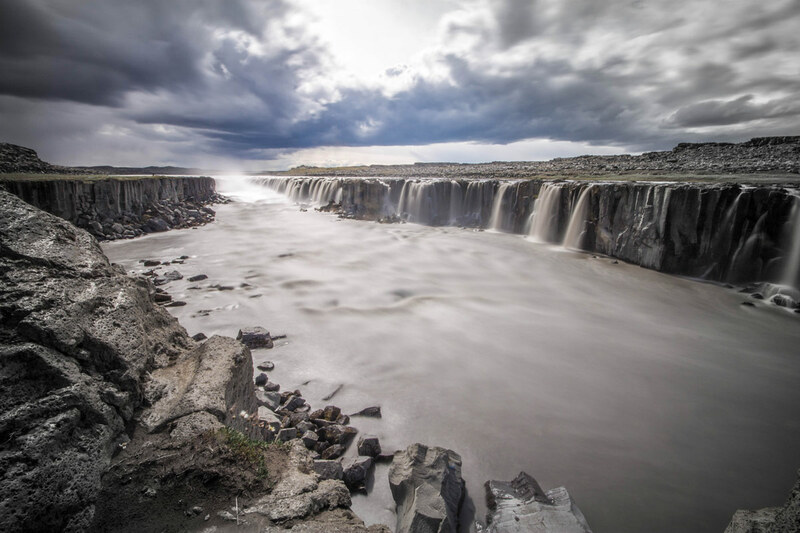 A few hundred metres downstream from Dettifoss is Selfoss, while smaller, it has a far more dramatic appearance than it’s big brother. 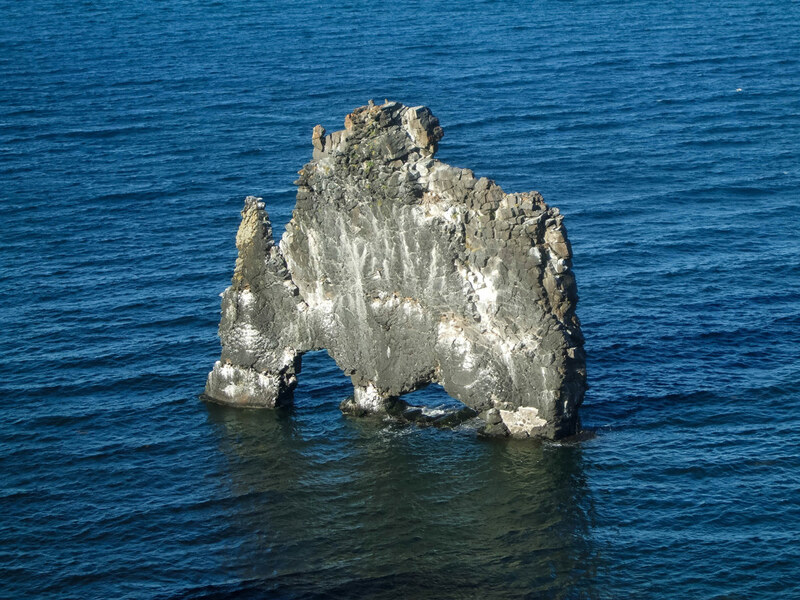 After taking in these amazing views, we rolled past the impressive and monolithic Herdubredalindir (Herðubreið). 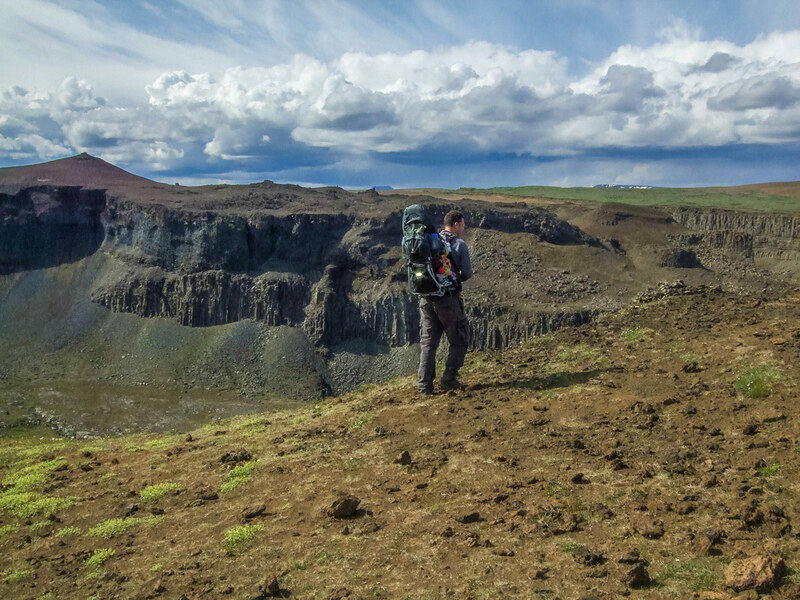 After a short hike, and reliving the life of some Icelandic bandits, we made our way towards one of our toughest hikes to the Askja Caldera and Viti Crater. Although we were exhausted from our hike, we weren’t ready to call it a day yet, so we headed to Hafrahvammagljufur canyon to hike the canyon rim. 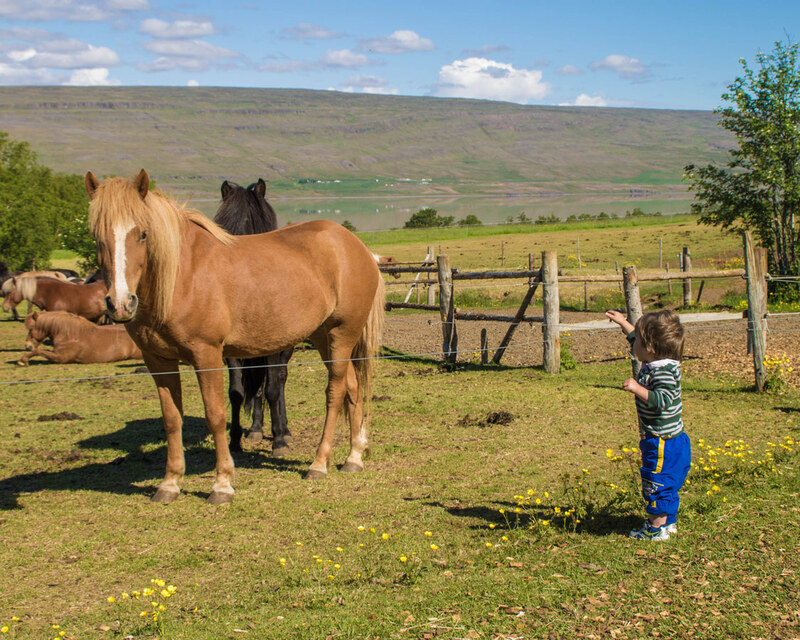 We woke up in our cabin on day 9 and visited the Icelandic horses at a nearby farm. 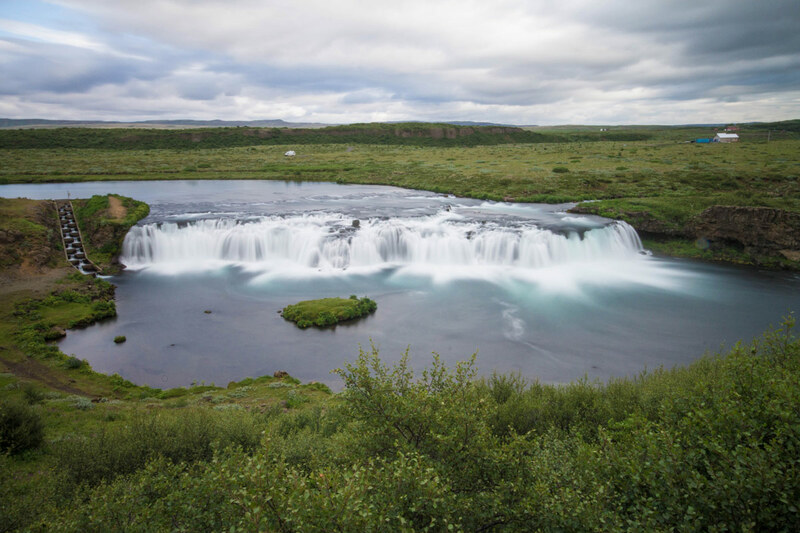 After a short drive, we checked our map and found that Iceland’s third-tallest waterfall, Hengifoss, was nearby. Thinking it would be a short hike, we pulled over and geared up. Turns out, it was not a short hike, and it was up, the whole way. Our next stop was at an Icelandic icon, Petra’s Stone Collection in Stodvarfirdi (Stöðvarfirði). Petra’s Stone Collection is a strange assortment of rocks and artwork, both collected and created, from around Iceland. It is quirky, fun and definitely worth a visit if you’re in the area. 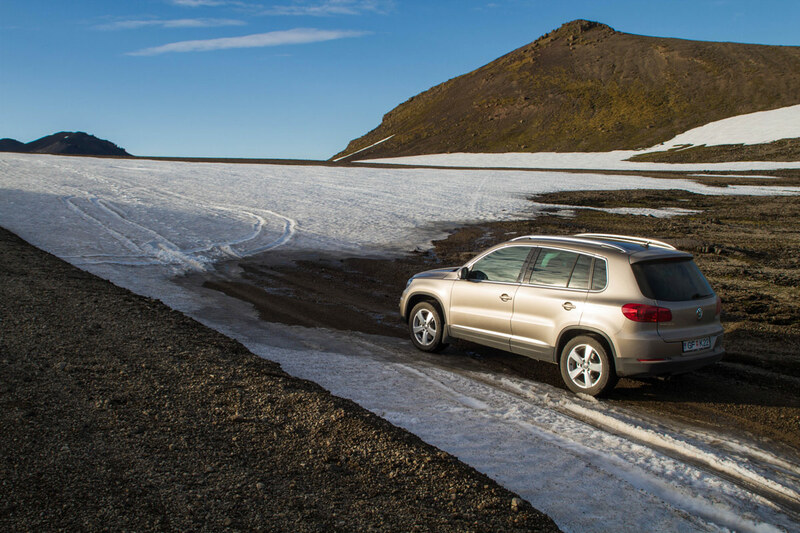 Inspired by all the rocks, we read about a nearby Icelandic Spar mine and pulled off the road to explore. Continuing on the beautiful East Fjords, our last stop was at a place where a local had mentioned that swans are often seen. We weren’t disappointed! The next morning brought us to Jokulsarlon Glacial Lagoon where we took a boat tour and had a chance to taste some 10,000-year-old glacier ice. 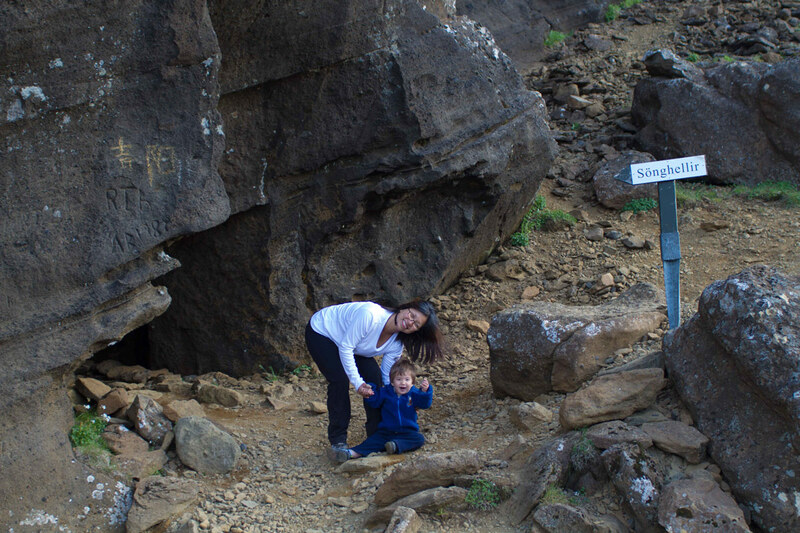 After our boat tour and picking up a Puffin stuffie for C, we made our way to Skaftafell National Park where we hiked to the beautiful Svartifoss, a basalt backed waterfall. With some extra time on our hands for the day, we looked up things to see close by and noticed we were near a glacier. We steered off the Ring Road and began a climb up into the mountains. Off to the side of the road, we saw a herd of Reindeer. 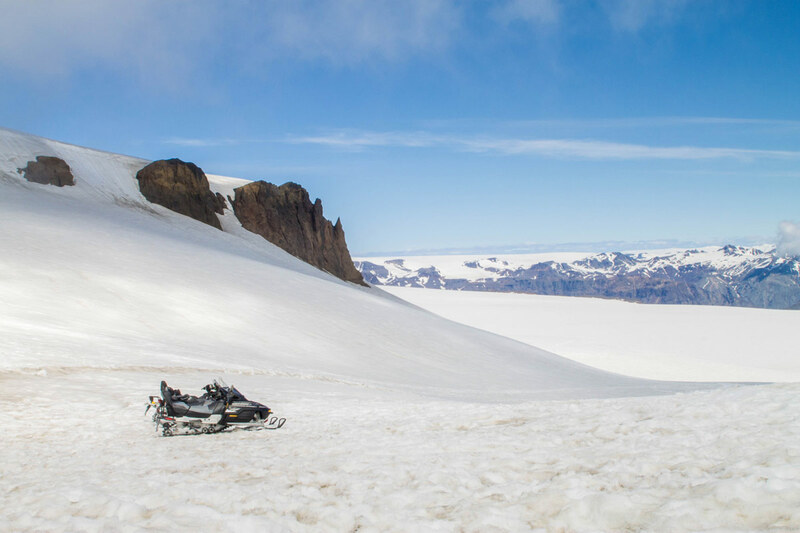 When we arrived at the end of the road (it literally just ended into a glacier) we saw a tour operation offering snowmobile tours of the glacier and thought … “why not!” C had other ideas, though, and decided to nap through the outing. We headed down the mountain and through the lowlands near the coast where the ground took a dramatic turn. We saw a pile of twisted metal nearby and stopped to investigate. The mess was the remains of a bridge destroyed by an avalanche that occurred a few years prior. We ended our day with a visit to a nearby Viking village recreation. It was filled with authentic antiques and we all absolutely loved exploring the different rooms. After a hefty breakfast, we stopped at a nearby feature called the “Church Floor“. A basalt formation in the middle of a field. 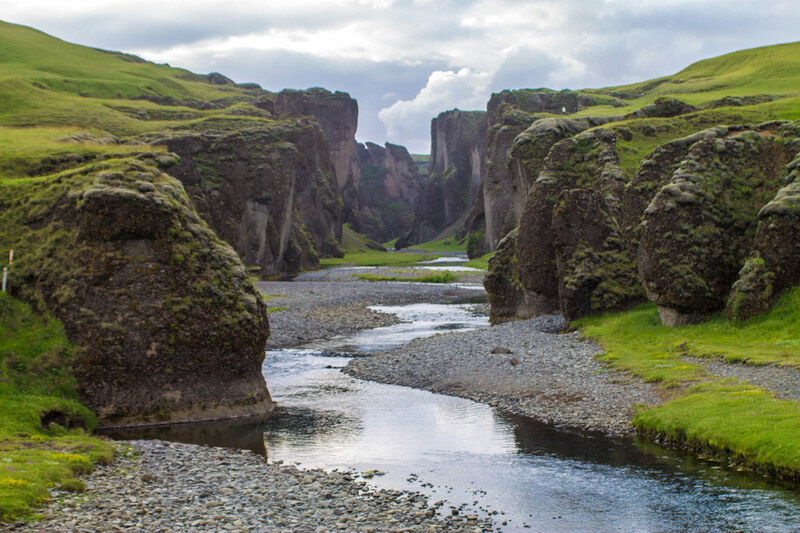 From there we made our way to Fjadrargljufu, a narrow and beautiful canyon that is just off the side of the highway. After a short hike, we began making our way inland over some rough terrain. And towards the famous Lakagigar crater row, where the world seemed to be pulled apart like a zipper. The area also had some pretty incredible caves, and we are suckers for caves. As we headed back towards the coast, we came across one of the most beautiful river fords in the country. Our photos don’t do it any justice, but the lush greenery and clear waters contrasting with the inland harsh rocky terrain was dramatic. Our first stop on day 12 was Eldgja canyon, where an easy hike took us to beautiful Ofaerufoss (Ófærufoss) where the water was perfect for splashing. Then, we began the long and rough drive through the highlands. Our car might have been small, but it got us where we needed to be. 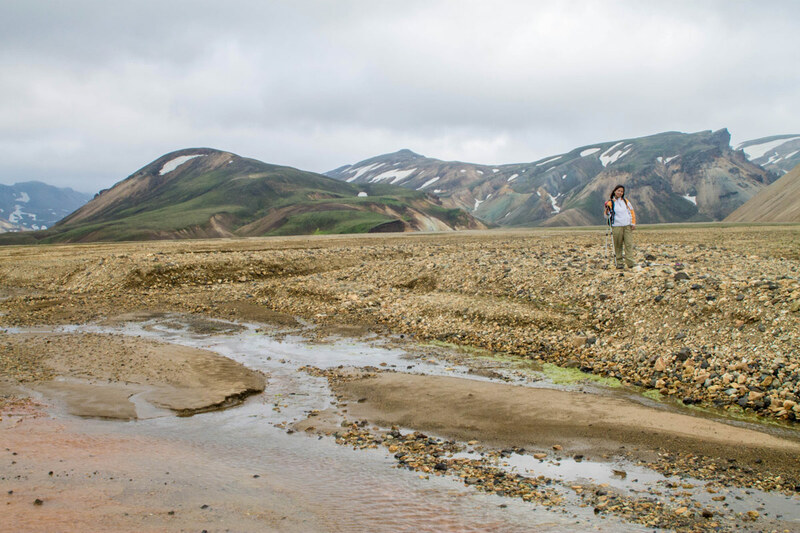 We arrived at Landmannalaugar and attempted a loop hike. Unfortunately, a cranky C wasn’t in the mood for the wind, so we swung back and checked out the lowlands. Because of our shortened hike, we had time to explore some more basalt cliffs. 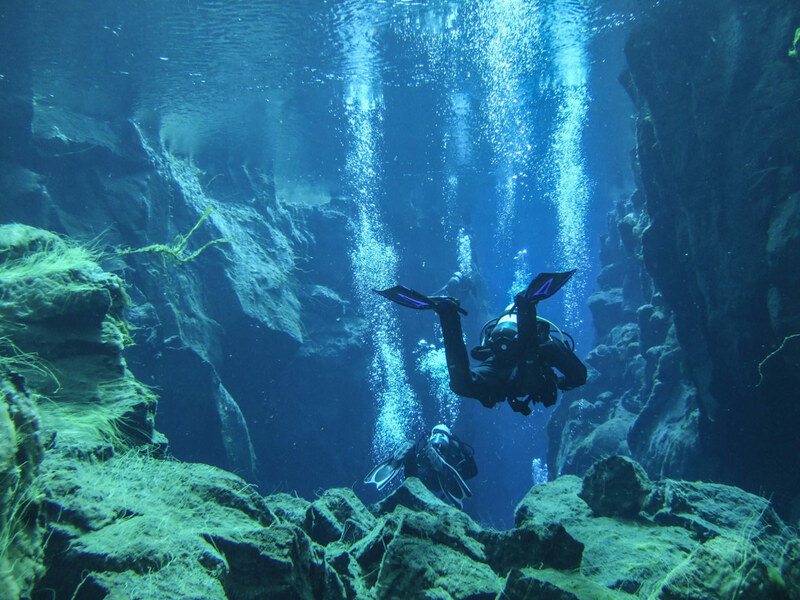 Christina and I stayed up late in the night cramming for our drysuit certification and, leaving C with a Nanny, we headed to Thingvellir National Park to dive the famous Silfra Crack. We suited up and jumped into the 2° C water. It was crystal clear and one of the coolest dives we have ever done (literally!). After drying off and warming up, we headed back to the hotel to pick up C and do a proper tour of the Golden Circle without being handcuffed by jetlag and a tour group. 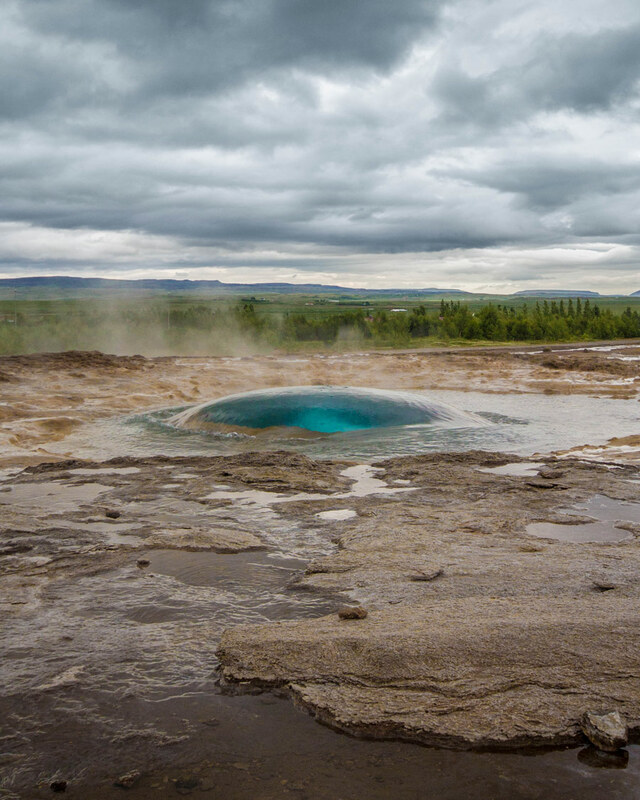 Our first stop, the aptly named Geysir and it’s friend Strokkur. Next, we visited Waterfall Faxi. After Faxi, we visited the famous Gullfoss. On our way back, we stopped to watch the fishermen in the Volcanic crater Kerid. I thought C might need a swimming lesson. Sadly, we woke up on day 14 knowing this would be our last day in Iceland for now. With a flight in a few hours, we felt we deserved some pampering and headed to the famous Blue Lagoon to soak our aching bodies. Tip: If you’re interested in more information on travel in Iceland. The Broke Backpacker has a very comprehensive guide. Thank you for sticking with us through our epic tour around Iceland on a 14-day photo journey! I hope you’ve found some inspiration from our travels. Do you have a favourite place in Iceland that we need to visit the next time we are there? Tell us about it! wow what an amazing vacation! LOVE LOVE LOVE how you brought your son along! Looks like he had an amazing time as well! 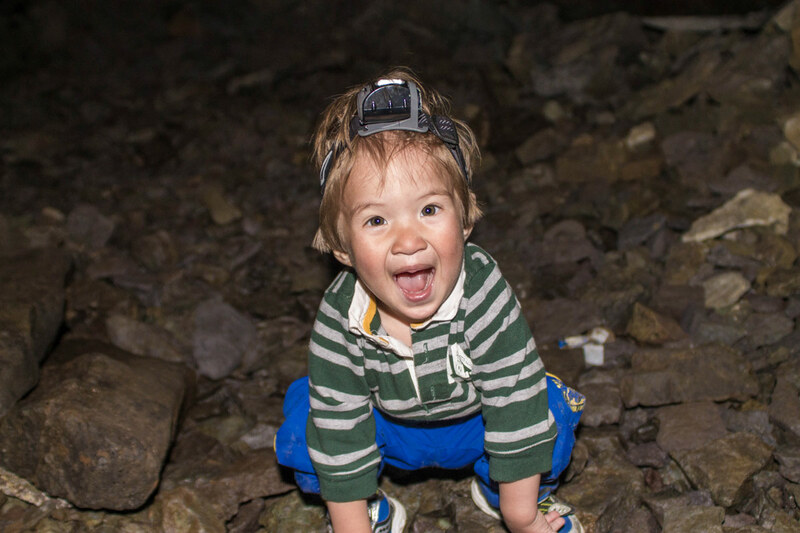 C loved every minute of it, and he still talks about some of his favourite adventures there! What a fun trip! Love all the pictures. I just spent the morning discussing a trip to Iceland with a friend and your post summarises pretty much all the reasons why I’d love to go! Our trip would be different from yours (it will be winter and possibly only over 4 days) but, like you, we’ll try do it alone: I hope the season and the self-driving will mean we can avoid crowds and take in those beautiful landscapes in silence. Pinning this for when we go! 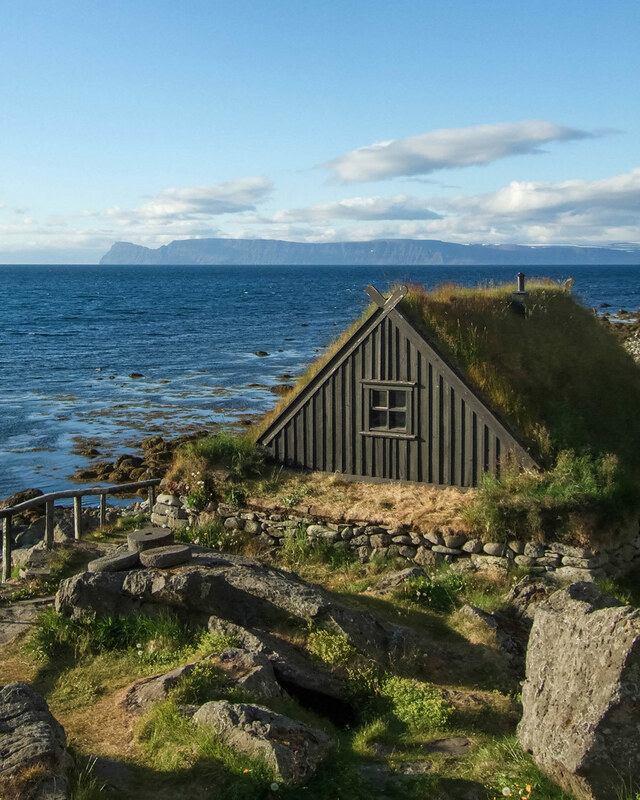 Four days should give you a good amount of time to discover the south of Iceland. We went in the middle of the summer, and even then crowds were never a problem. 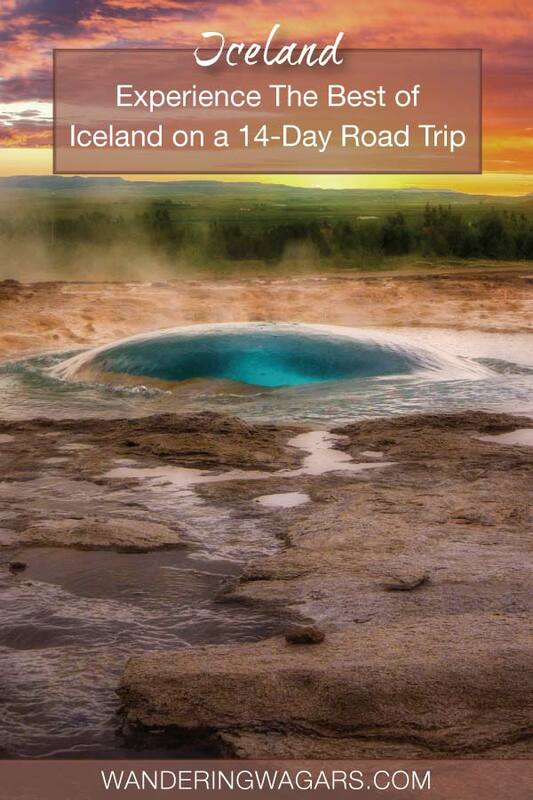 I have always wanted to visit Iceland! Your pictures make it look amazing! It looks like getting our drysuit certification before we go would be a good idea? The diving looks awesome! This is my dream trip! 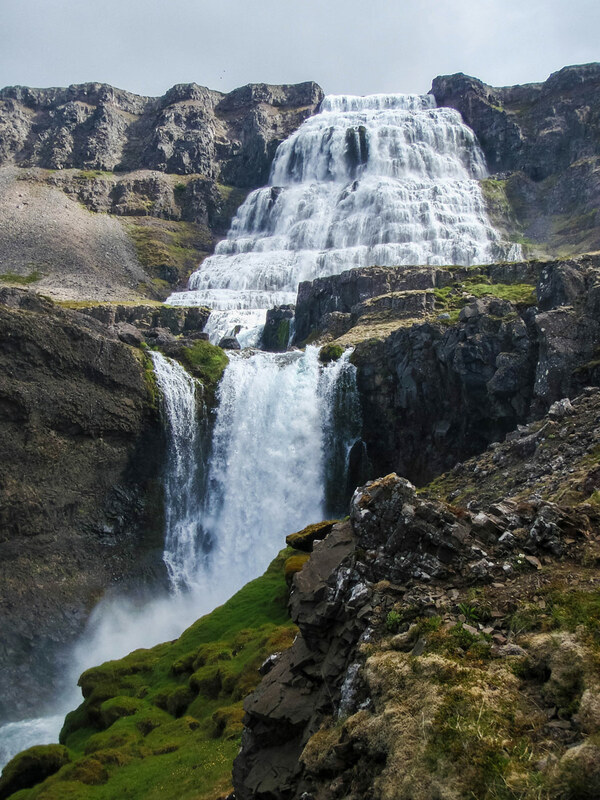 Iceland is just stunning and your photos show just how beautiful it is. It really is gorgeous there! Thanks so much! What a brilliant road trip. This is just the type of thing I’d love to do if/when we visit. Your photos are inspiring! Excellent itinerary! I’m going to bookmark this for when we plan on going to Iceland! Amazing post! very pictorial and easy to read. Didn’t know Iceland had so much to see. Will keep note. Thanks for sharing. It would seem that every sight in Iceland is dramatic and beautiful and magical and epic and… Really incredible that you got to spend two weeks there. Maximized your time for sure. Incredible that you guys were able to do so much in 2 weeks!! I have a quick question. Going for the first time in Sept. Only have 3 days, want to visit at least one great hot spring, no car, and I heard the Blue Lagoon is too touristy and not really worth the money. Do you have any suggestions? That’s fantastic that you’re going! 3 days should give you a chance to see some amazing sites! The Blue Lagoon is certainly touristy. 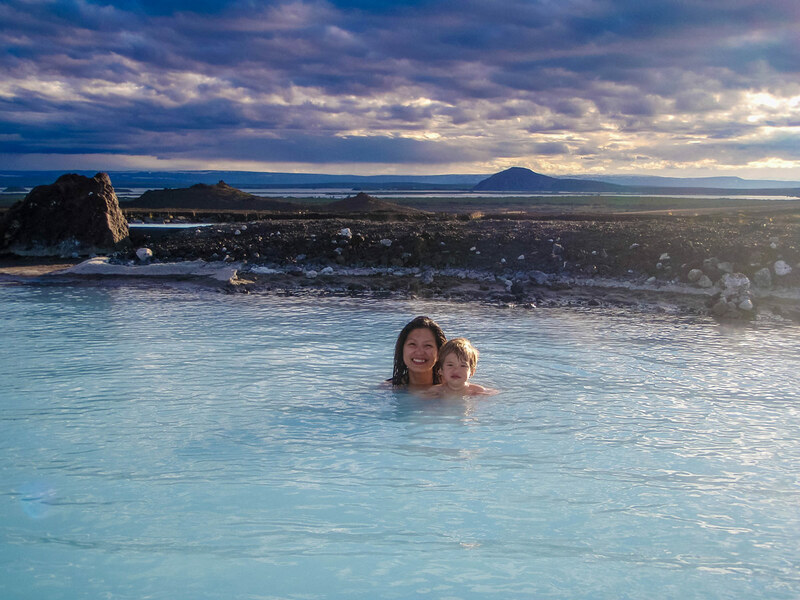 We love the Myvatn Nature baths. They are similar in style but with a fraction of the crowds and much more natural scenery. They are about 5 hours from Reykjavik. 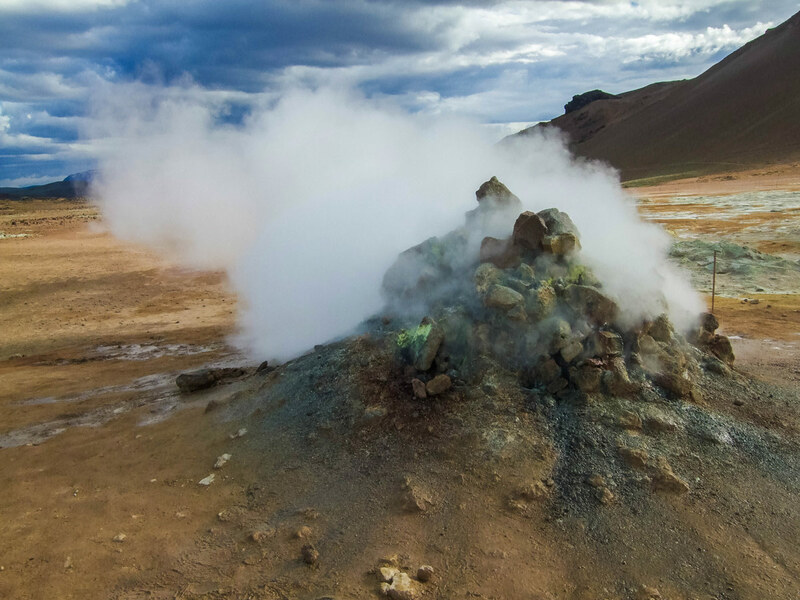 Guide To Iceland has a great post on both free and paid hot springs in Iceland that is worth a look at. Keep in mind that the secret cave is considered unsafe to bath in due to unpredictable heat and volcanic gases. If you visit it, please don’t attempt to go in the water. I just love Iceland and what is amazing is that I’ve been there 3 times and haven’t seen or done many of the things you have shown! Just gives me another reason to go back! What an epic trip! Iceland has been on my must-do list for 20 years; hoping to get there in the next 18 months! Incredible! I hope you get that chance to visit! It’s not something you will soon forget! Didn’t you do the Northern Lights?! We visited Iceland during the summer months when the sun shines nearly 24 hours a day, unfortunately, there wasn’t an opportunity to see the Northern Lights. The best time to see the Northern Lights in Iceland is September to mid-April. Ah! Thanks. Love the post though. Incredible pictures. Saving it for later reference. Thanks! 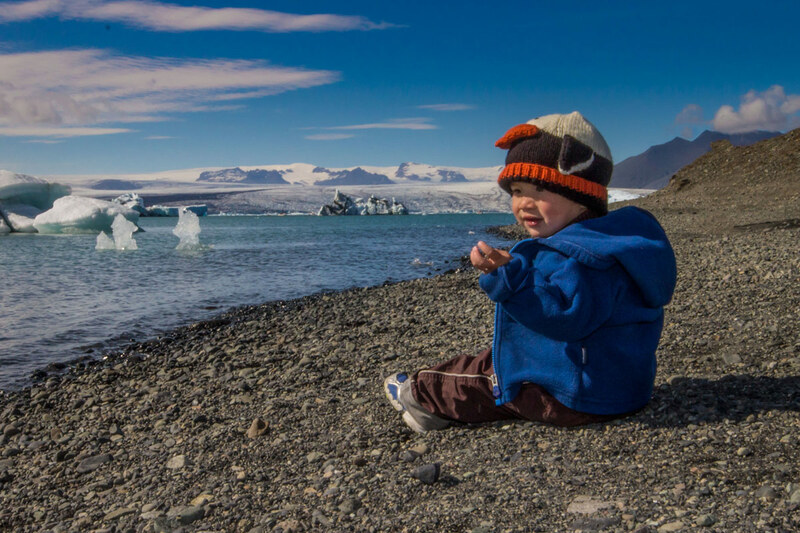 Iceland looks amazing and I love the fact that you brought your baby C with you. 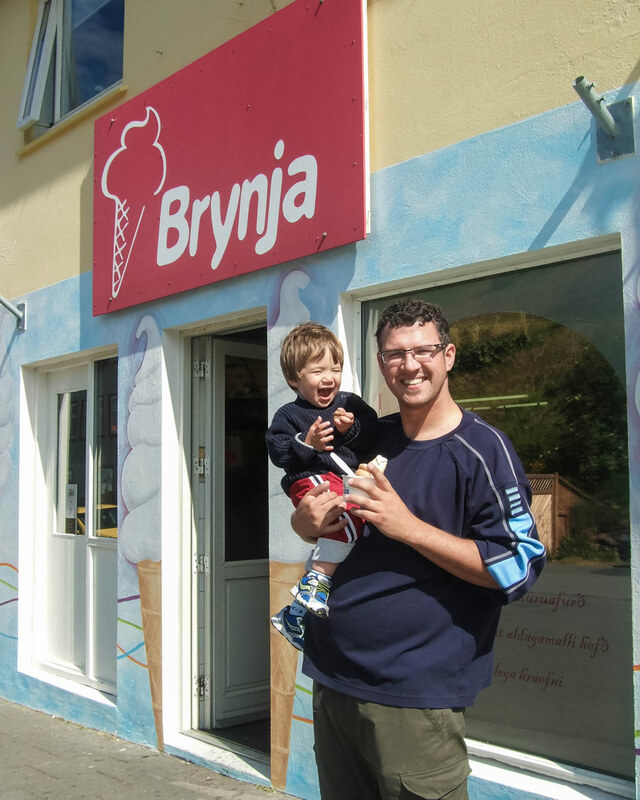 It’s so important to get children involved in the world of travel, as soon as poss. as they’re so versatile and very easy to travel with lol! I started taking my son travelling at 6 months old, and my husband and I, have never looked back. That’s awesome! All the power to you for taking your children with you! We love travelling with our little guys! You rock! Keep on travelling! You traveled the whole Iceland! Wow, I must say that the landscapes are gorgeous. 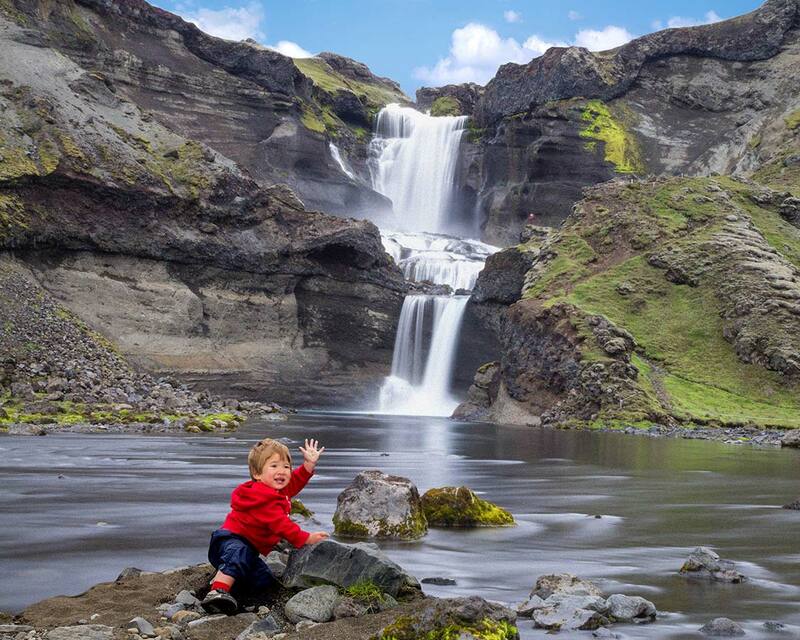 The nature, wildlife, beautiful waterfalls and amazing natural baths… You took wonderful pictures! Now my dream is to visit this beautiful country too. WOW! This is awesome. Definitely bookmarking this for future reference. 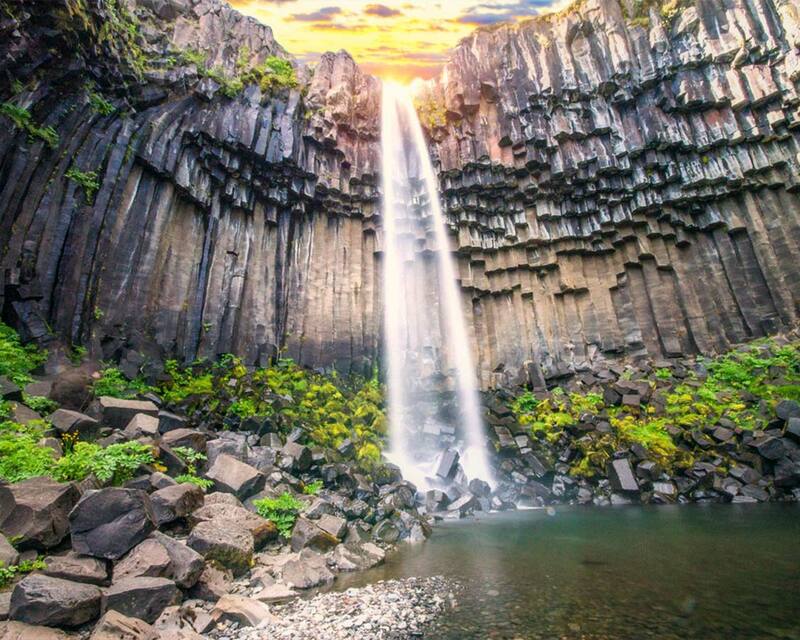 The waterfalls in Iceland are so beautiful! Iceland is a country my husband and I dream of visiting. I am smitten by the gorgeous landscape unlike any other I have seen before. The charm and possibility of a toddler friendly road trip made me convince my husband, after I showed him your article. We have been traveling a lot with our baby recently. We will definitely go for it during our next trip to Europe, so I am definitely bookmarking this. Arni we are so glad to have helped! You are going to have such a great time in Iceland. So many places for children to run around and just explore. That’s amazing to hear! I love that you are getting out there with your little one! Wow! Looks like you had an amazing 14 days in iceland. You have such beautiful photos! Would love to visit Iceland one day ??? 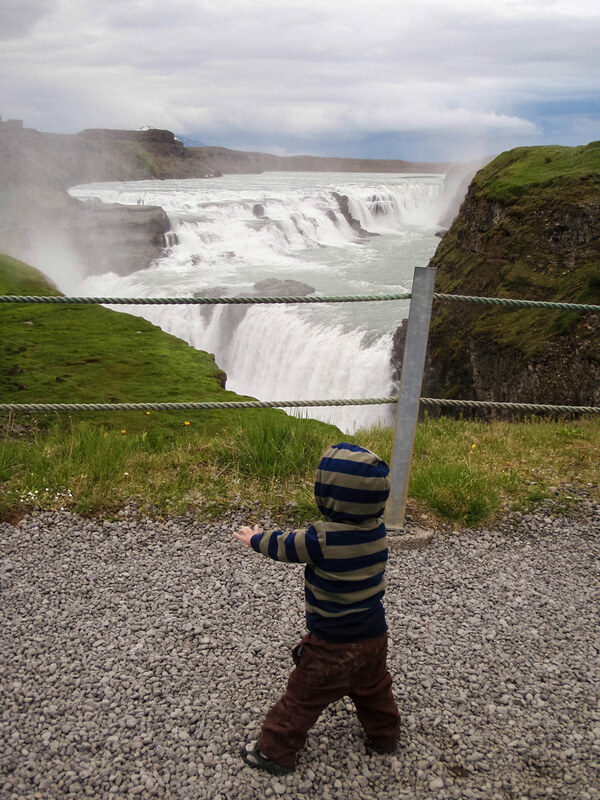 An entire loop of Iceland sounds like a fantastic itinerary, and I can’t believe you did the whole thing in 14 days with the little ones in tow – kudos! An epic trip, each minute must have been a tremendous experience. Iceland continues to be a dream destination, but lived the dream through your post and the spectacular pictures of the beautiful land. What a spectacular trip, with equally spectacular scenery! As a family who loves travel and road trips, this looks right up our alley, and is extremely drawing for me! The landscape is absolutely beautiful with that magical quality, your photos have captures it well. Bookmarking this for what I hope to be a future trip for our own family!! Thanks for sharing your itinerary. There are lots of stops on here that I want to check out too, and its great to see how you managed your travels in 14 days. I’ve been dreaming about Iceland, I really can’t wait to go. My brother is going this year, I hope I can join him. I can’t seem to decide which place from your itinerary I would like best. They all look stunning and the activities you’ve done are amazing! 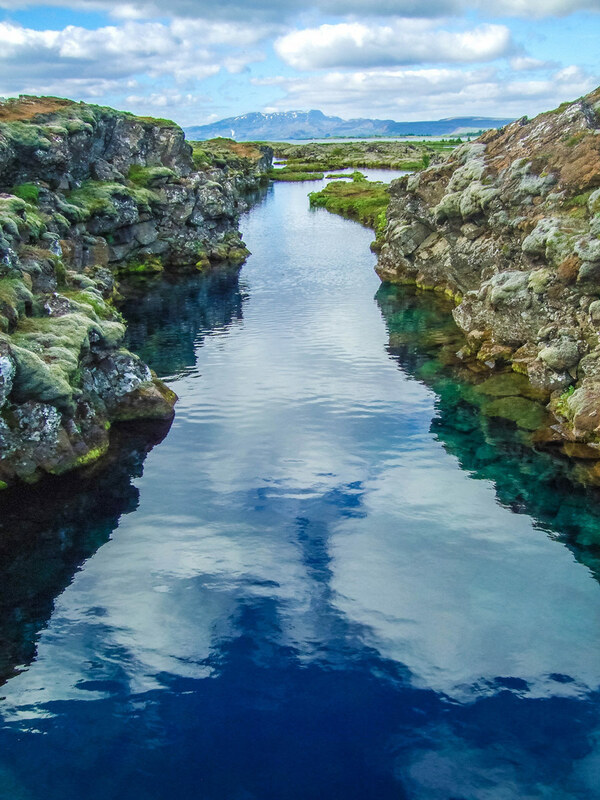 I never thought that diving was possible in Iceland… I mean, who would jump in that freezing water? But wow, that underwater scenery took my breath away. I bet in person it was so much better. I only experienced Norway but Iceland is on my future trips list for sure. wow, what an epic road trip, looks like so much fun and all those waterfalls are truly stunning to witness I’m sure….it’s on my bucket list. Wow! The nature is amazing and beautiful. 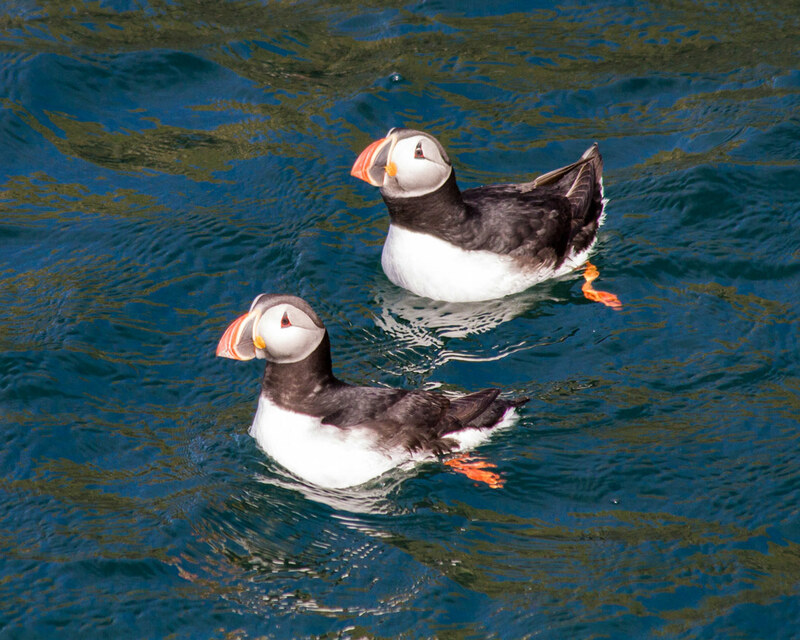 And, the puffin photos are beautiful. I love their beaks. Also, I’d like to say that I really enjoyed watching you have fun with your child while traveling. The photos of you playing, eating, and swimming with him are so joyful. Thanks so much! 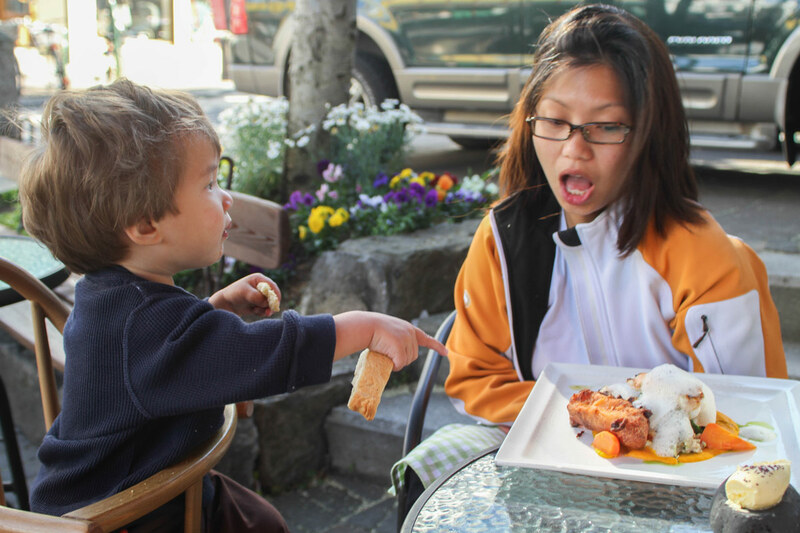 We absolutely love travelling with our little guys and they eat up everything we see. Lovely photos and I am jealous. Iceland is also in my bucket list. Hope to visit this country really soon. This country looks really extraordinary. You are very lucky. Wow, there are a lot of beautiful photos. I like the waterfall Dynjandi, the waterfall was amazing. I love traveling to the waterfall. In Bali I find a lot of tourist attractions waterfalls. Maybe you’ll find many great tourist attractions in Bali. Hehehehehhe .. Stunning photos! Iceland looks so gorgeous. 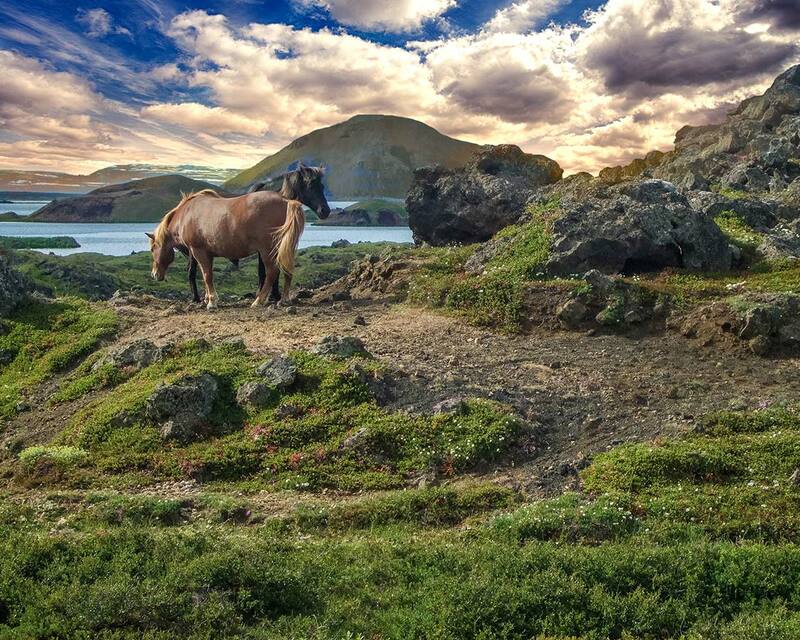 I’d love to see the puffins, and go for a ride on an icelandic horse. 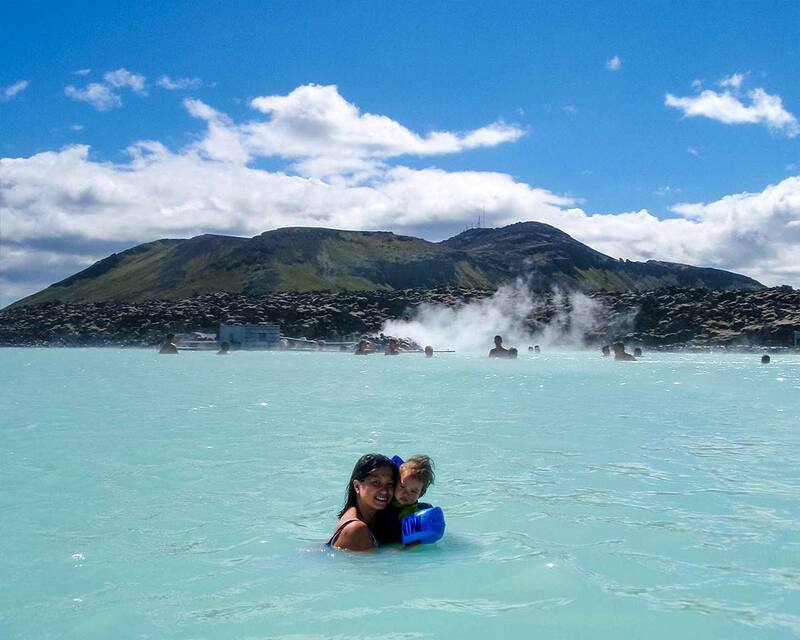 Did you find the blue lagoon very touristy? Still worth it? So awesome to see some Icelandic puffins, what a beautiful setting! 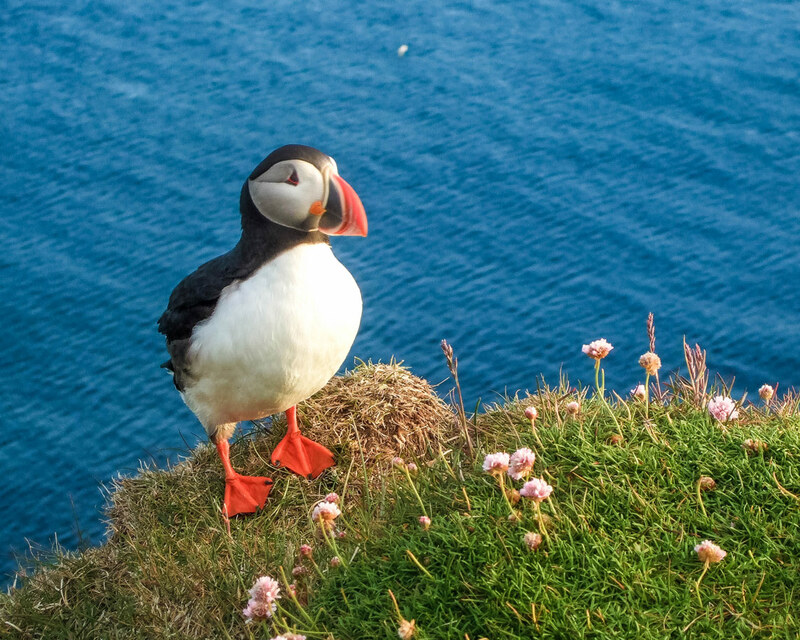 We saw our first ever puffin in Yorkshire last month, but would be amazing to see them in Iceland. I’ve heard that Iceland is a beautiful country and your pictures prove that is true. I love weird museums so I’m sure I’d love the Witchcraft and Sorcery Museum. And the puffins are just adorable! Guess sooner or later I am going to have to make my way to Iceland. Every time I turn around I see something about Iceland. Very cool you got to spend a good amount of time there exploring and seeing such beauty. I thought I had an idea how beautiful Iceland is but seeing your pictures, looks like I had no idea at all! Everything seems picturesque espeacially that Bardur Snaefellsness sculpture. I immediately imagined myself being there with that for a background, I think it’d make for a great picture. This is an epic itinierary! 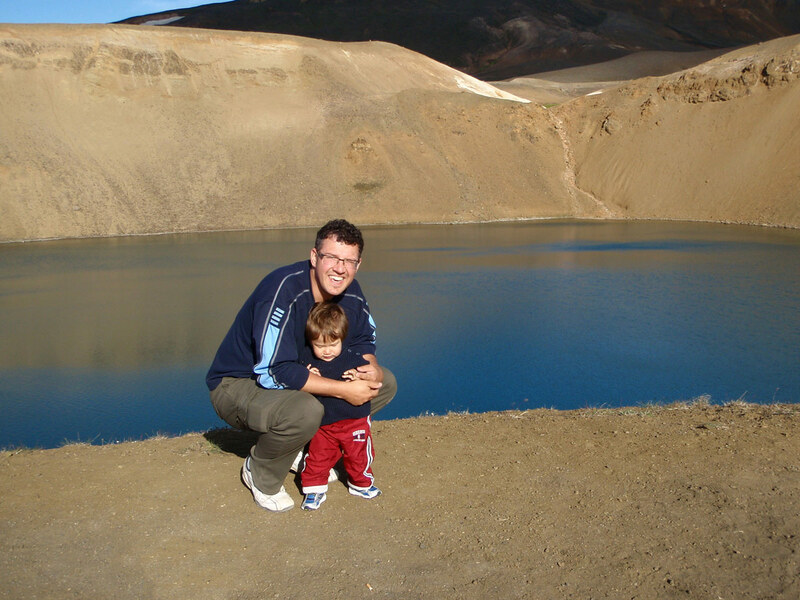 I went to iceland in 2005 when I was 14 and loved it. Would love to go back now and see what it’s like! Your blog post makes me wish we were going for longer than 5 full days. Ah well we will see what we can and maybe we will have to return at some stage. Great pictures guys. Sounds like you guys had a great trip! 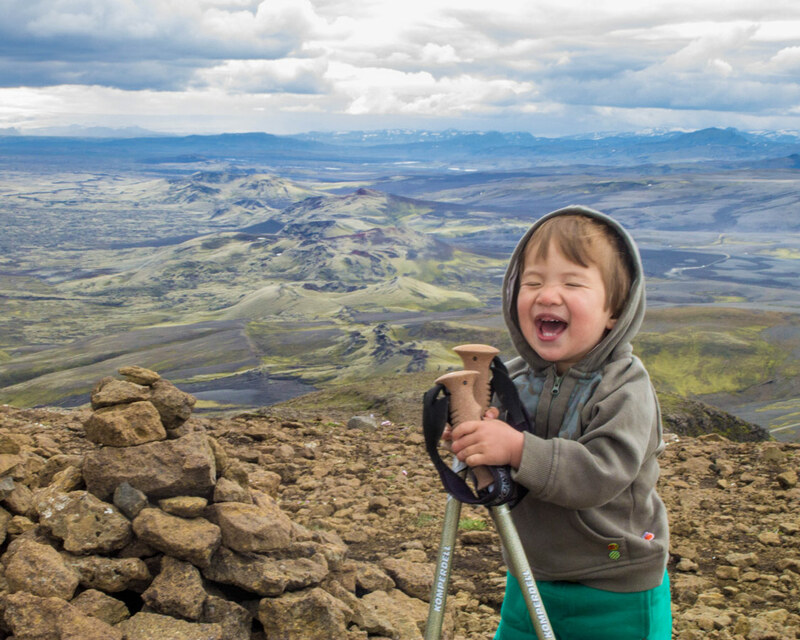 We were just in Iceland earlier this summer and took a similar route–too funny! 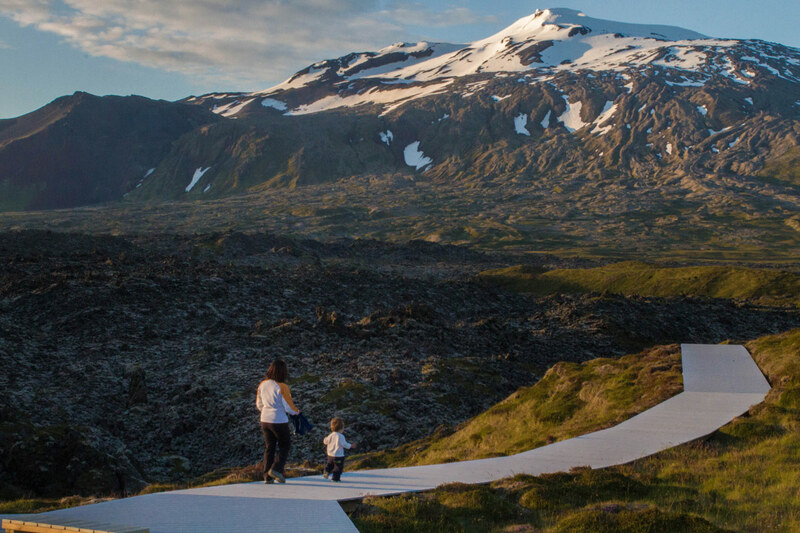 Iceland is such a fantastic spot–I feel like we could go back and still have so much to see. 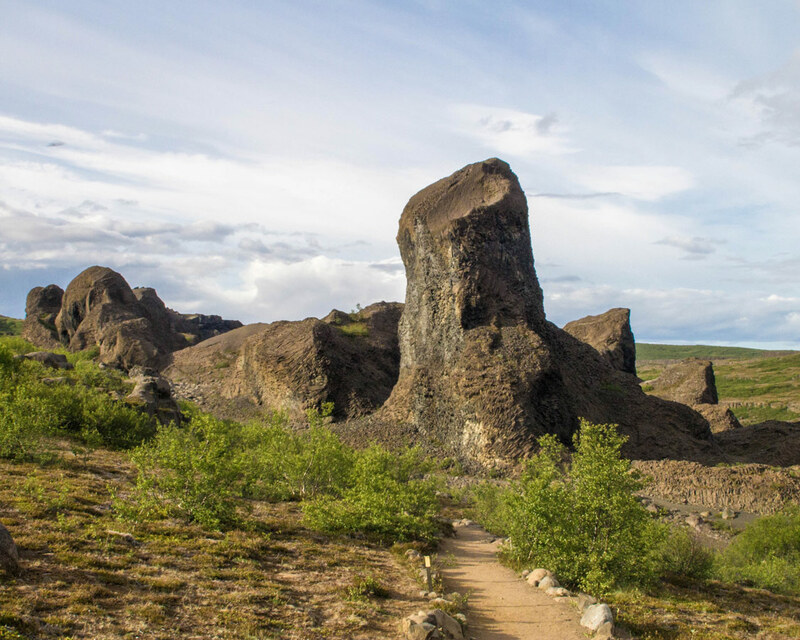 I found quite a few stops in your post that we will have to add in for next time, especially Bardur Snaefellsness sculpture and your day exploring Asbyrgi Canyon and the Icelandic Highlands! 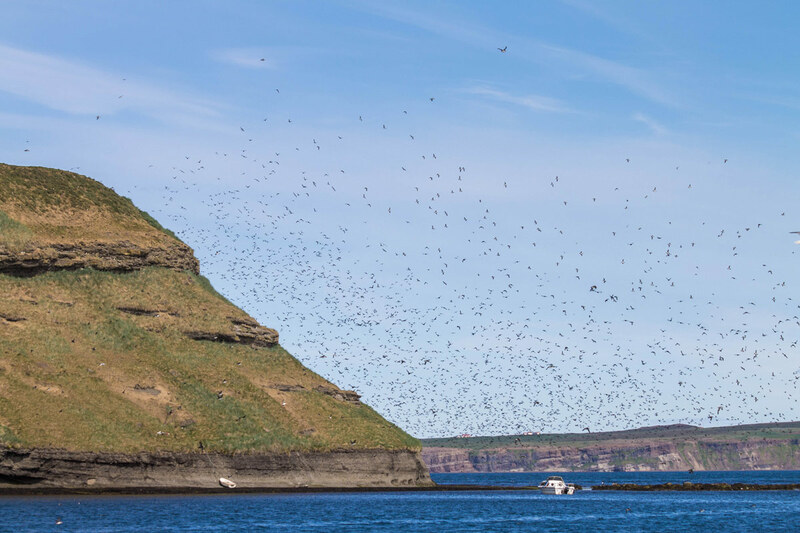 One of our favorite stops this time was the bird cliffs in the Westfjords–we were so excited to see puffins!! I can’t imagine the excitement ever dying down! But I’ll be honest, we went in the middle of the summer and even then we never had to deal with crowds anywhere in the country. Love this post! You guys sound like me when I plan a trip. Cramming as much in as possible, with a big focus on photo ops! Iceland is so amazing. The longest I’ve spent in one stretch is one week, so it’s awesome to see what you can fit in with more time! I’m definitely inspired to go back for the north and to re-explore other areas! 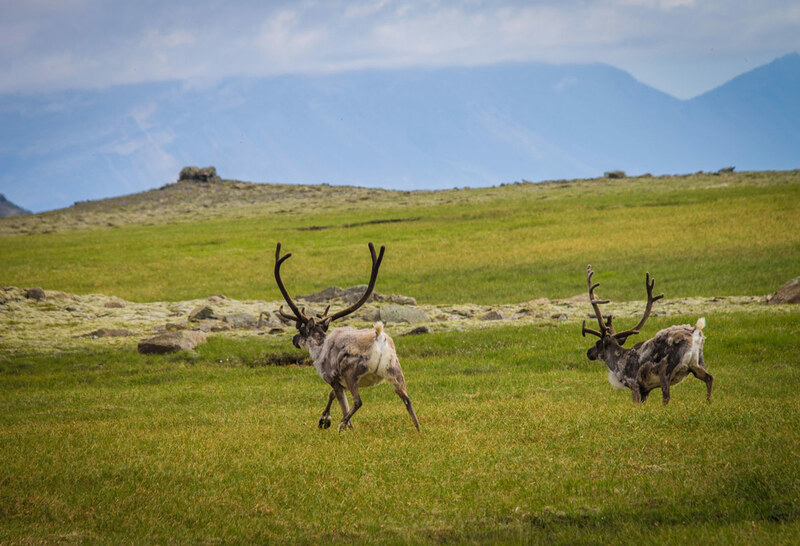 Great itinerary – we only had 9 days to spend in Iceland and it wasn’t nearlly enough! 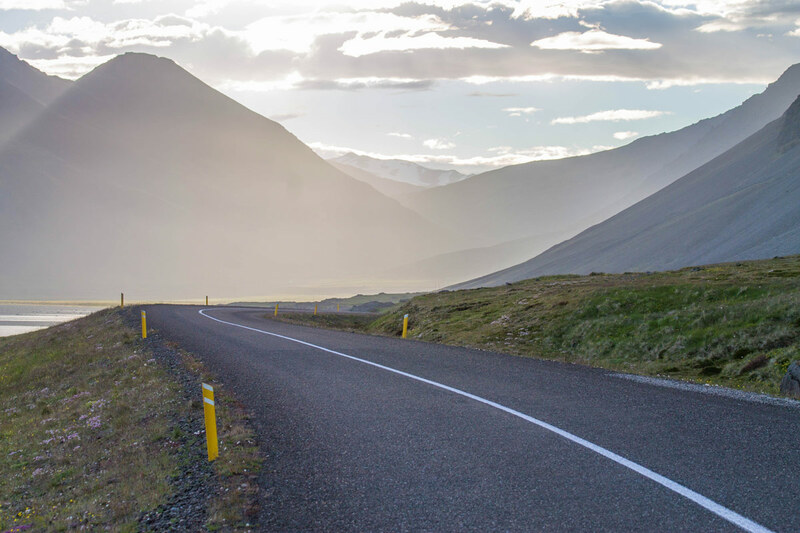 I’m dying to get back – we did do the ring road though didn’t have the chance to venture into the West Fjords – so that’s on the list for next time. Iceland is my dream destination! What beautiful photos you have to remember an amazing place. Wow, these photos are simply breathtaking. There’s something about landscapes from Iceland that leaves me speechless. I hope to get there, sooner rather than later, and explore its natural beauty. When I was younger and (not yet) a fan of travelling, I though Iceland is composed of ice, LOL yeah silly me.. I would love to see Dynjandi waterfall! Those puffins are so cute! They almost don’t look real because of their gorgeous features and colours. I can see why it’s the mascot of Puffin Books. 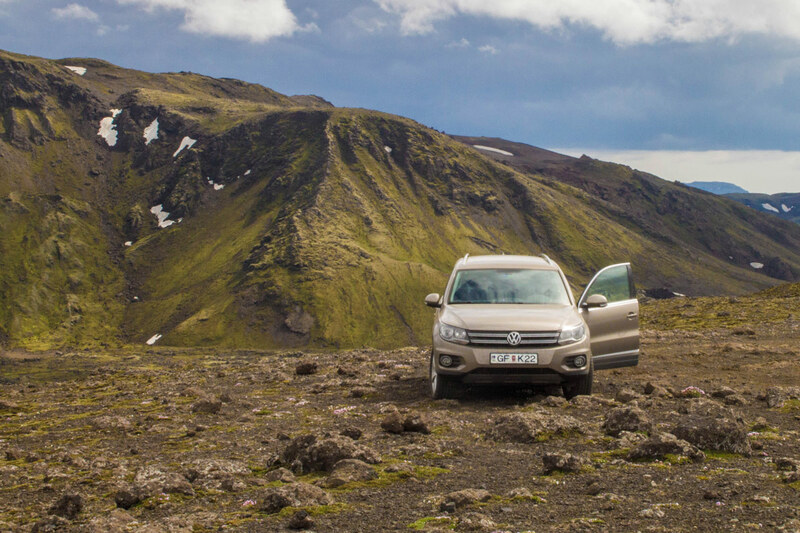 Iceland seems to be the place to go for beautiful scenery and easy enough road trips around the Ring Road. I can only hope to be able to do this in the future! Thank you for the inspiration, it looked like you and your family had lots of fun. What a fantastic itinerary. I have always wanted to go to Iceland and I think your post really proves why it is a top destination! What an amazing journey! I’m always surprised by the beauty of Iceland. You really did a great job capturing your trip in your photos. I have to admit that I’m a sucker for those puffins. This is a great and comprehensive itinerary post. 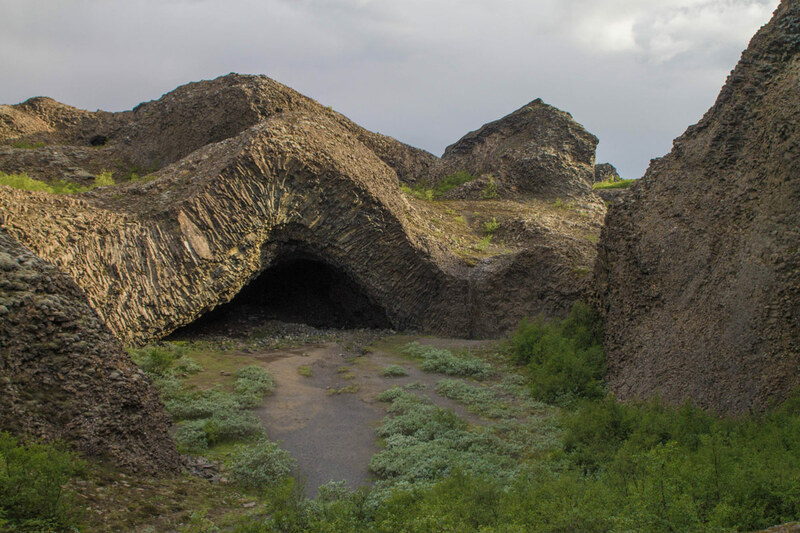 I would love to get to Iceland and see some of the geology – looks like you got to see some neat rock formations and benefit from more than one thermal pool. Love the puffin photo! We are heading there in May/June. With a map in hand, I will be returning to this page over and over again to plan my route and itinerary. My kids will be 5.5 and 2 so kid friendly and mulitple stops are key to a successful adventure, as I am sure you know all too well. 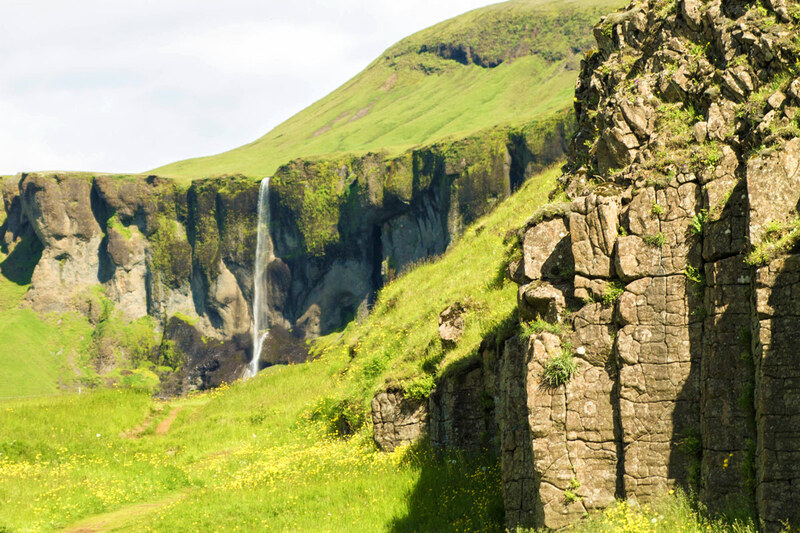 There is so much to see in Iceland that a few days won’t leave you disappointed! Enjoy your time and good luck with the northern lights! Looks like you had a great trip. I don’t know if I could handle Iceland or not. I am so cold natured. You made me want to visit though! Wow! What an epic post and I’m sure you had an epic time in Iceland. It’s one of my favorite places and I can’t wait to visit again. Never got to do the ring road so that is what I will focus on when we go. This an amazing post! The places are so beautiful as always. Love the photos of the water and that of the whale. Your wife and kids shows they’re having fun in their photos, too. Iceland is one big beautiful place. So glad you got to explore the place in 14 days. And I must say, the photos you took are all amazing! Wow seems like you have had great weather when in Iceland! I just came back from there and it was pretty crappy, so to speak. However it was my seventh time there and I still love it, no matter what. I never made it to the west fjords and would still love to head over there one day! WOW Iceland looks amazing! I cannot wait to get there someday 🙂 Love your blog! Brings back some wonderful memories! We did a self drive tour of the ring road as well, although a little later in the year during September. Nice to see a few of the bits we missed, especially Dettifoss & Selfoss. 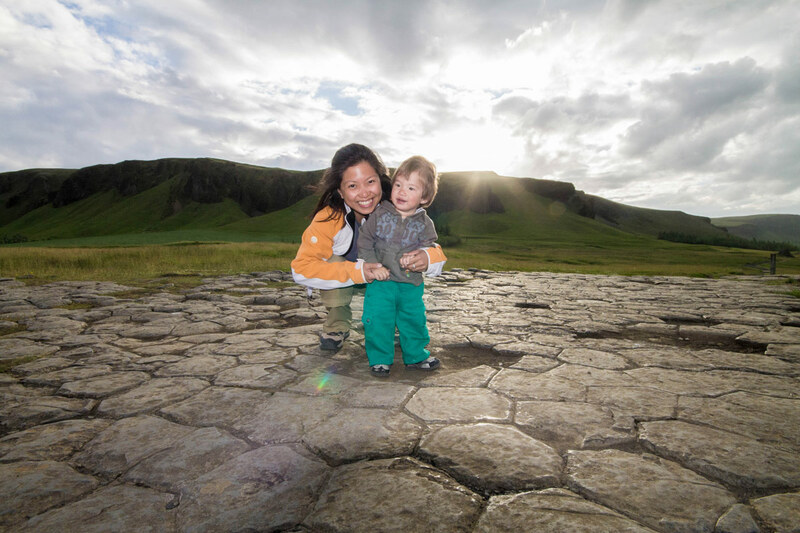 Beautiful trip, beautiful photos and a beautiful family – thanks for sharing. I was only in Iceland for 3 days and it rained the entire time but out of a 3 week trip that included St. Petersburg, Copenhagen and Oslo, Iceland is the first place I would go back to. I loved the contrasts between the jagged rocks and the green slopes. Impressive pics and country, and what a dive you had in this cold but so clear water!!! The midnight sun is also incredible. Such a beautiful place – gorgeous pictures! Would love to visit Iceland! Your photos are definitely inspirational, here & on instagram! 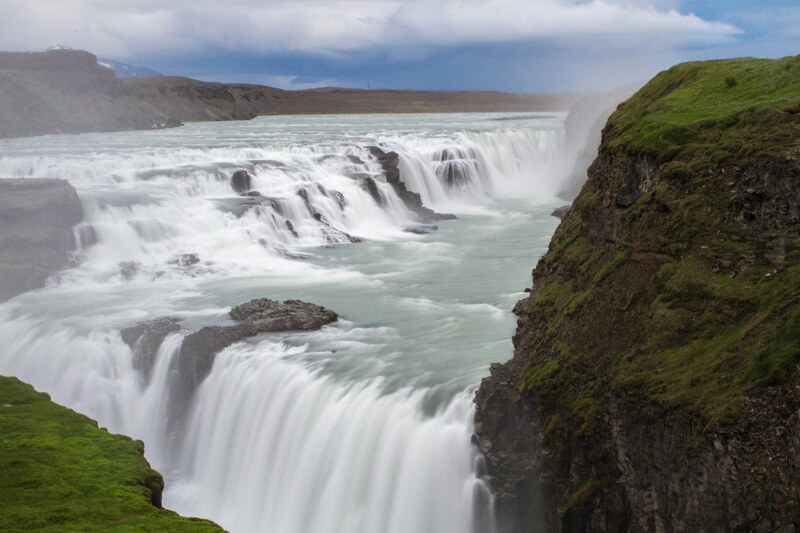 Iceland certainly seems to be the hotspot of the moment but I usually see shorter itineraries. I like to spend at least 2 weeks in a country, no matter how small it is so it was great seeing more diversity in Iceland than usual posts. Loving your work Wagars! Thank you so much! It’s great that you love to delve deeper into the countries you visit. 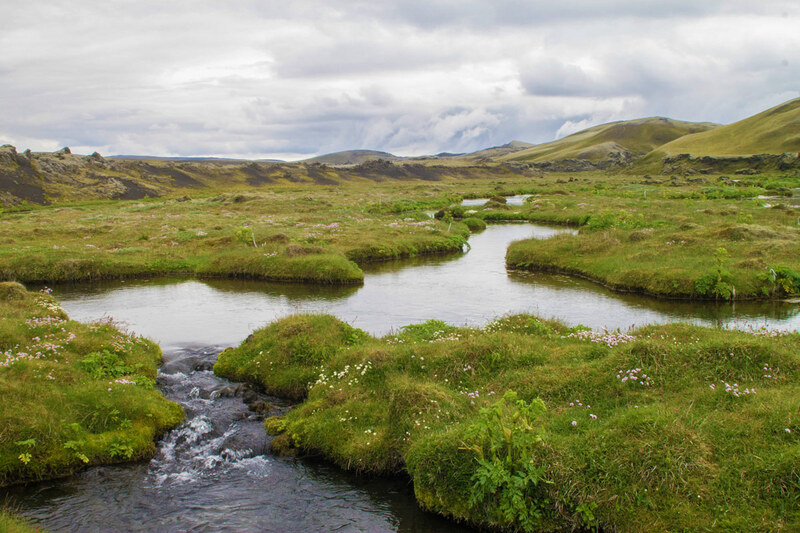 Iceland is great, and there is so much to explore there. Iceland is one of my dream destination!! A long post but thank you for touring me to Iceland virtually. I really hope I’ll have the same opportunity to tour Iceland that long. Do you have a list of places you spent the night at? We’re going in August with our three year old daughter. Fantastic to hear that you are taking your little girl! We will send you an e-mail with the details. Great post! One of the best I’ve seen for traveling with young kids. We are planning on going in August for 7 days with our 16 month old. What would you recommend for a 7 day itinerary out of this? Obviously would have to be geographically closer to one another. Thanks so much! Sounds like a great adventure! If you are heading for 7 days, I’d suggest skipping Lima and heading straight to the Sacred Valley to acclimatize for a couple of days. Spend some time there, enjoy the salt pans and ruins at a very gentle pace and then head to Ollantaytambo and Machu Picchu for a day. Stay the night in Aquas Calientes. You’ll need to fly out of Cusco, so a day there to explore Saqsaywaman and the markets would be good to do by that point. Keep a close eye on the little one for signs up altitude sickness, Cusco is quite high.